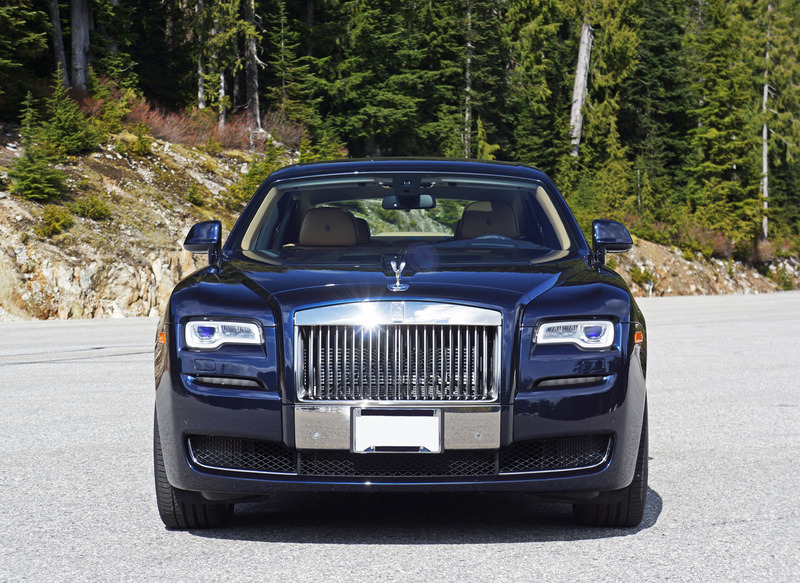 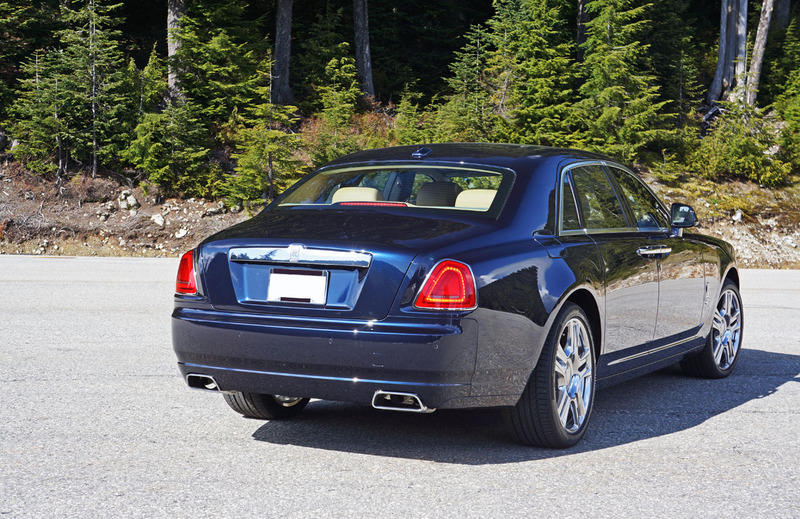 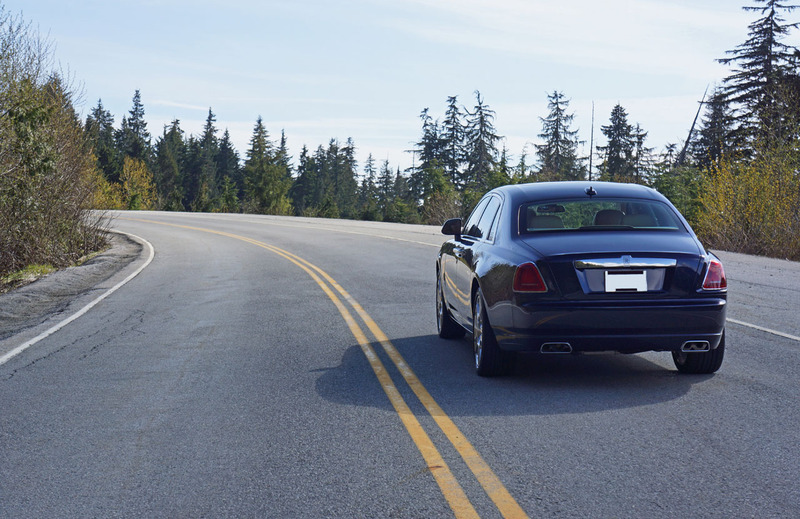 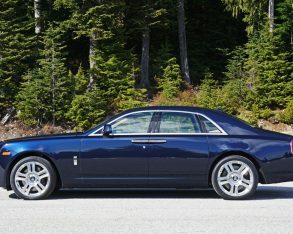 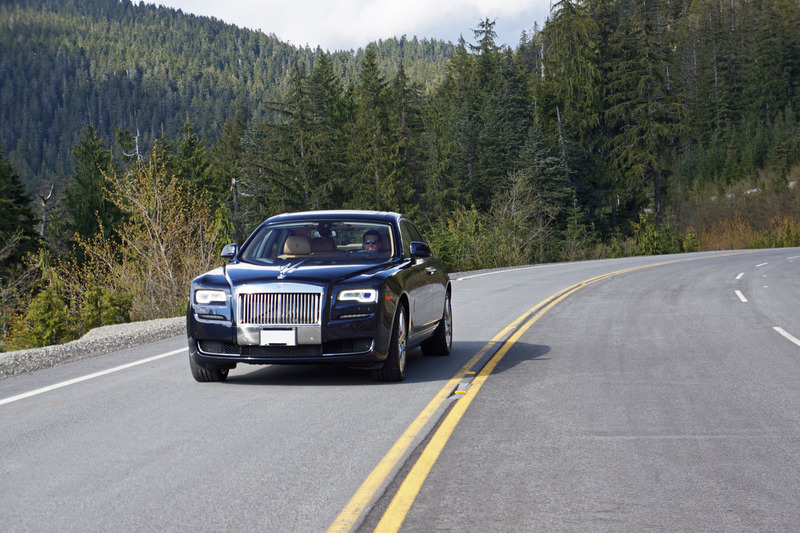 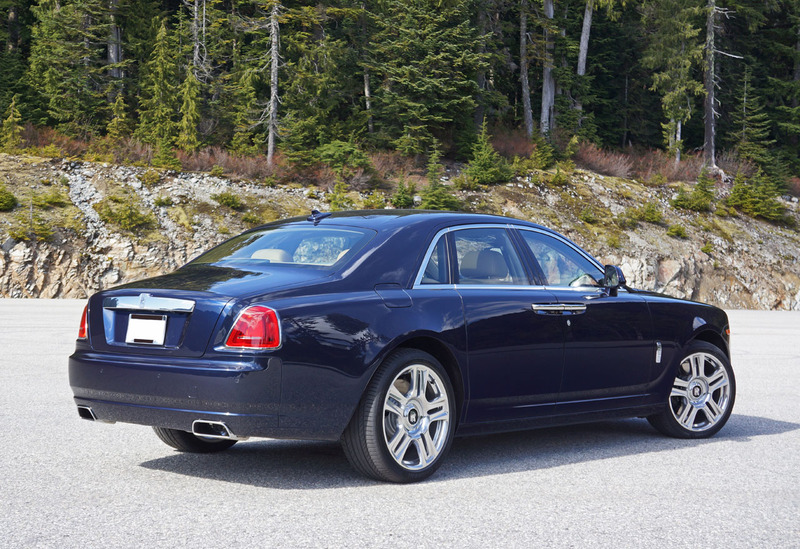 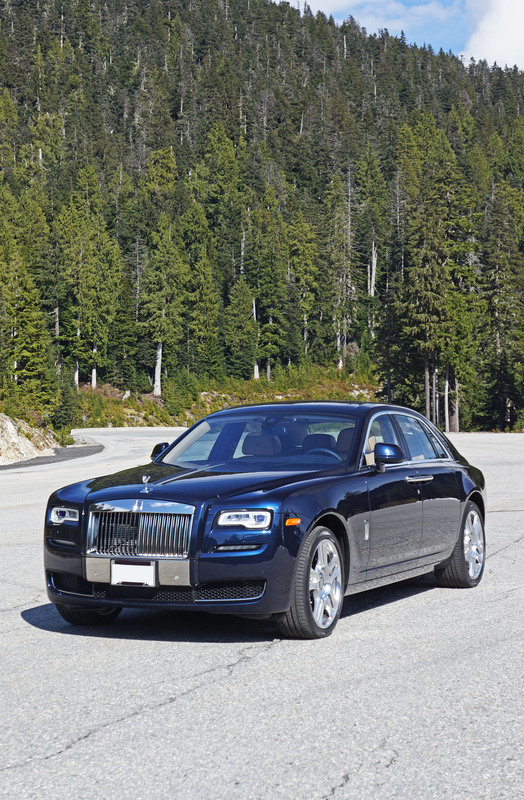 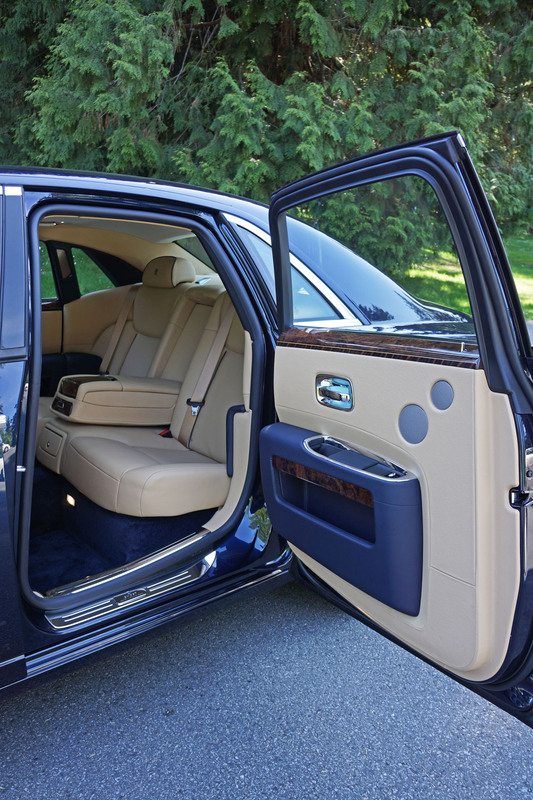 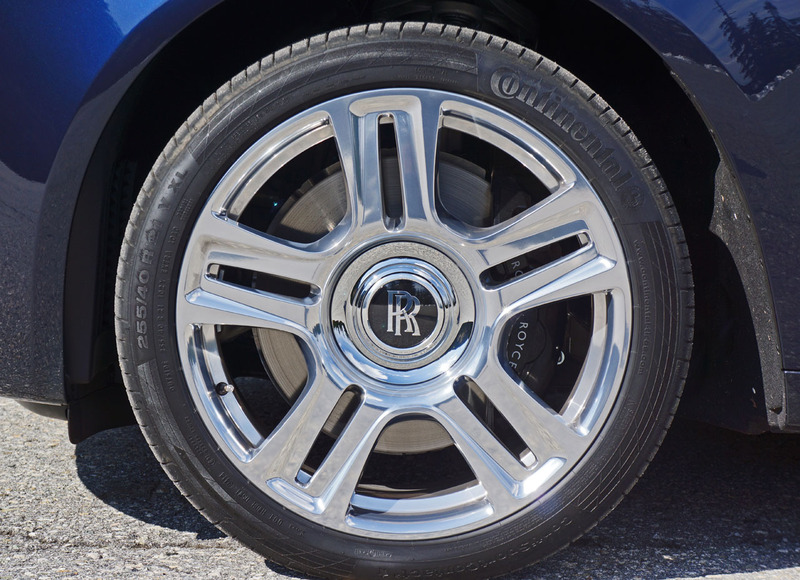 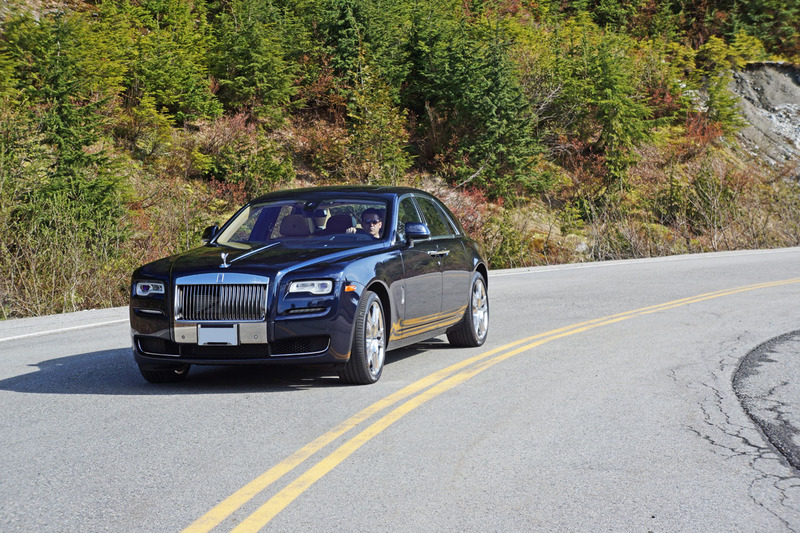 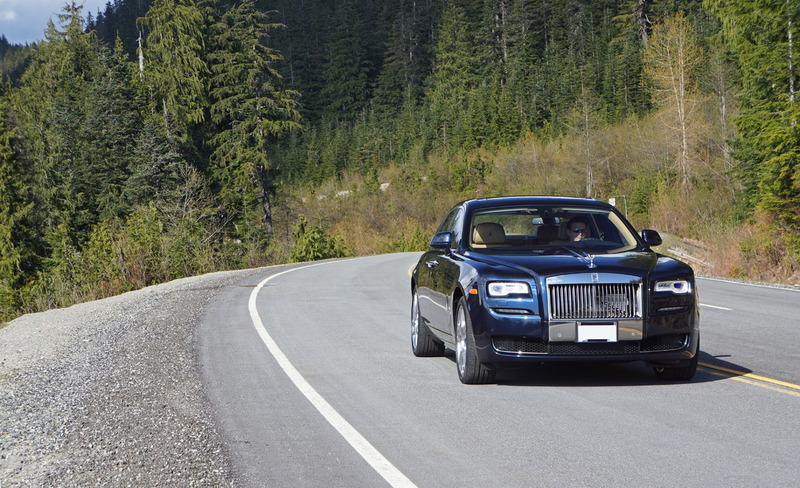 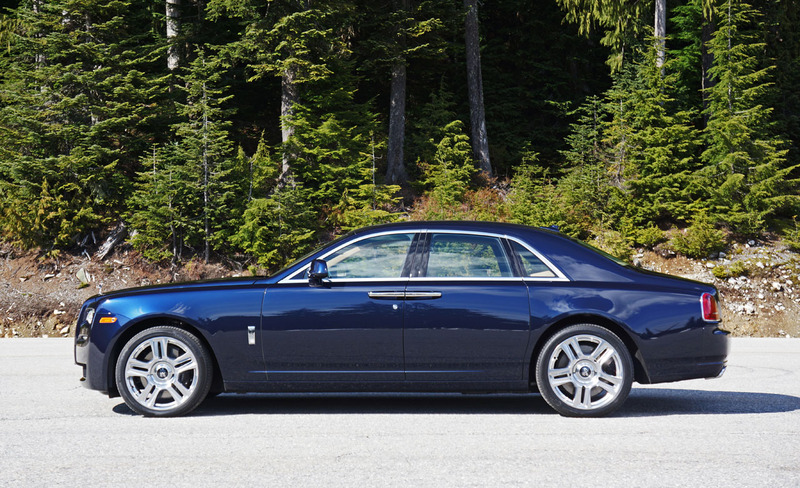 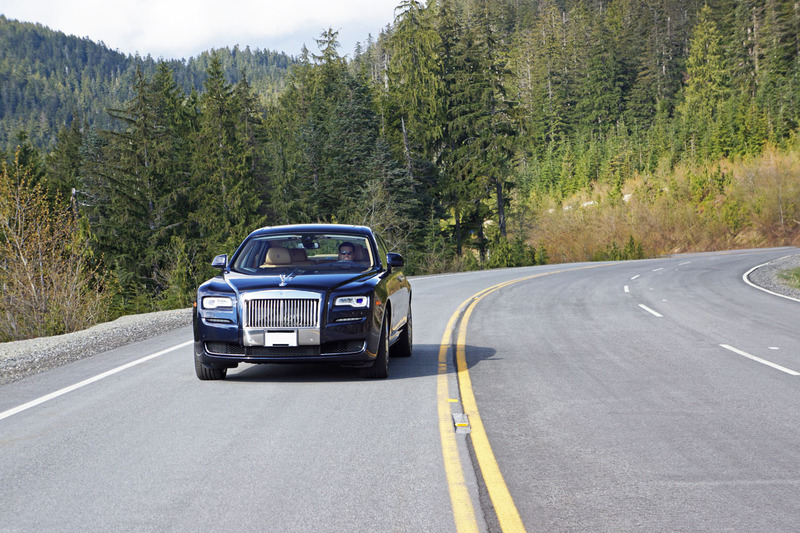 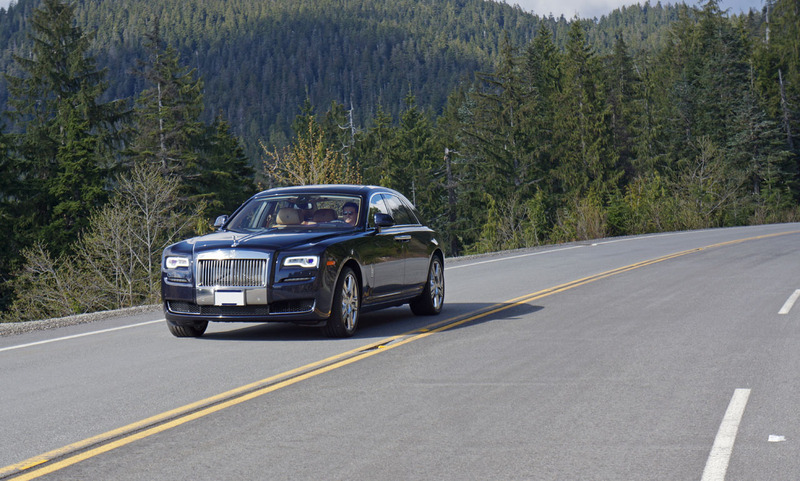 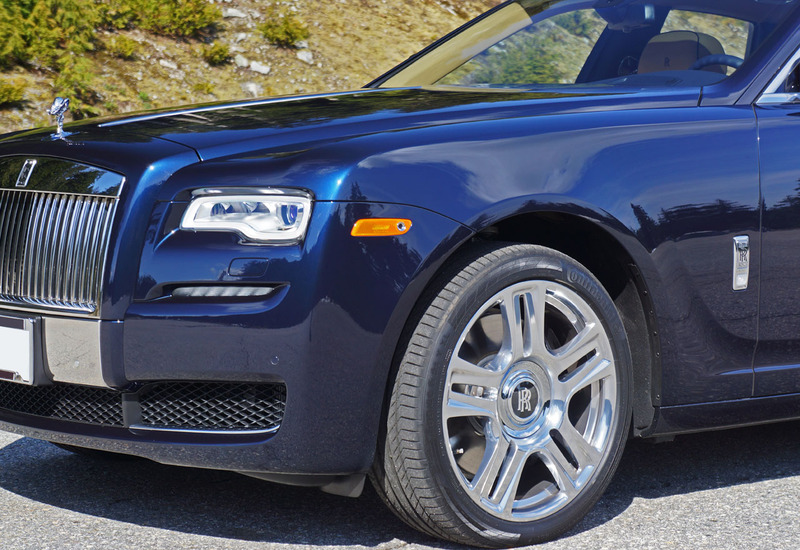 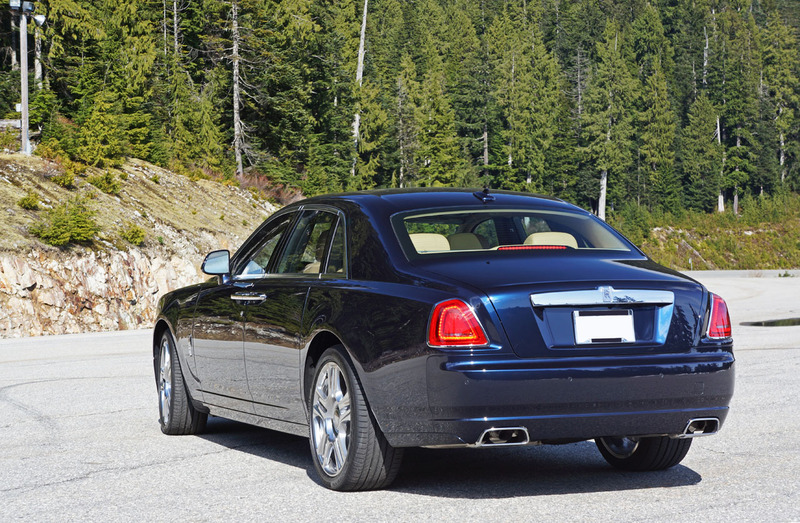 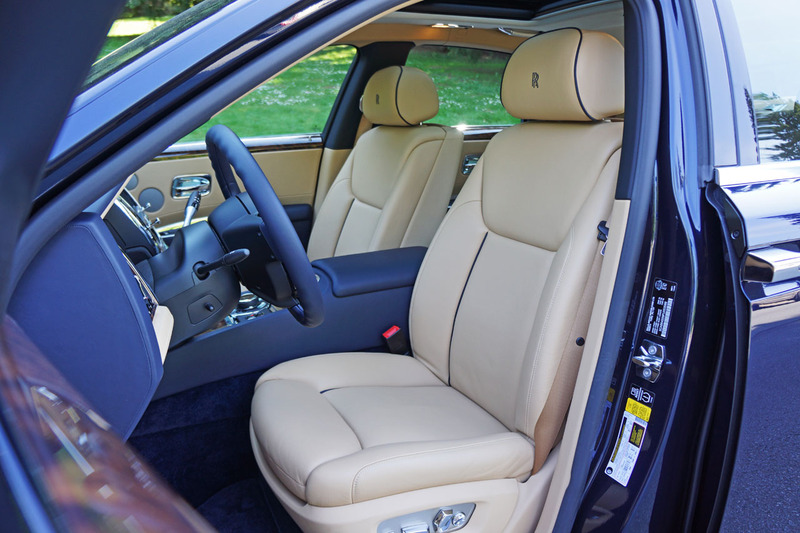 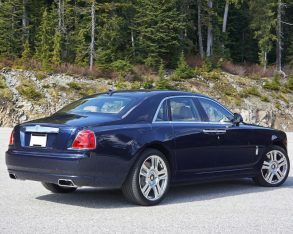 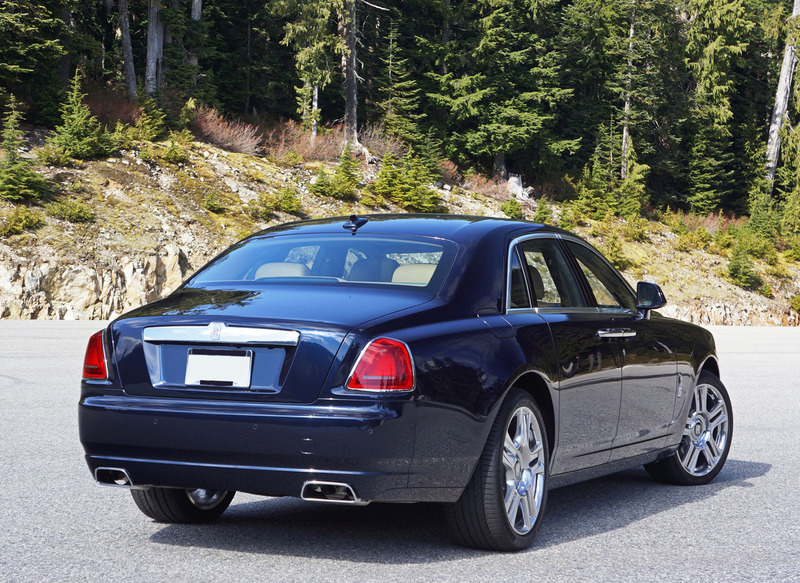 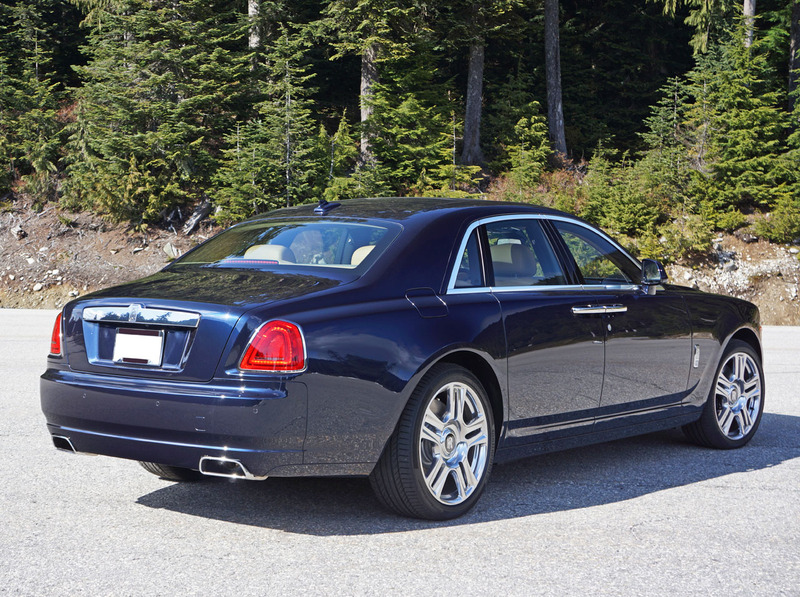 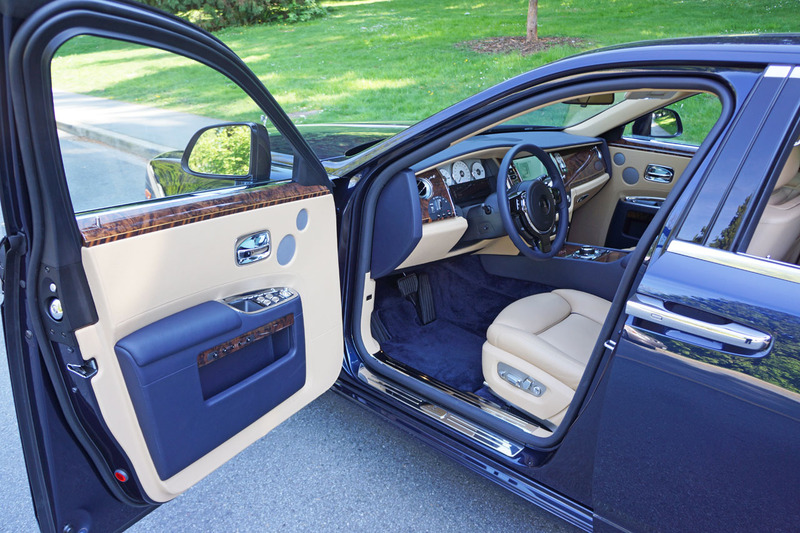 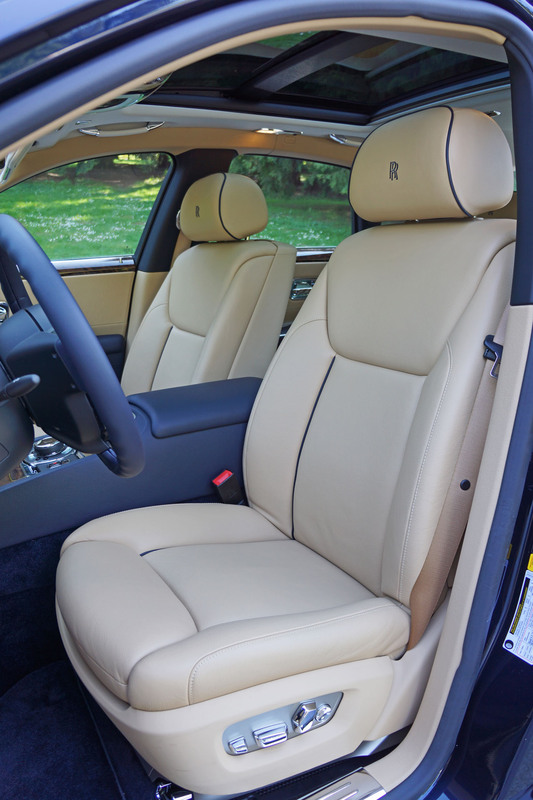 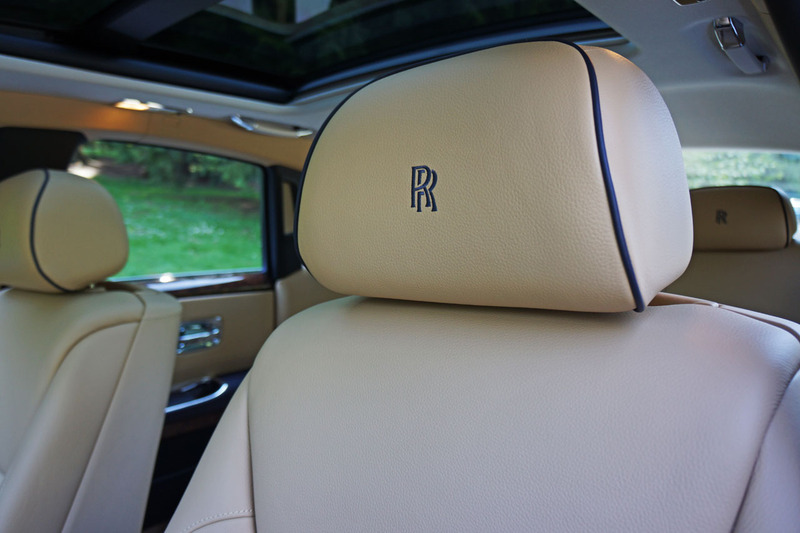 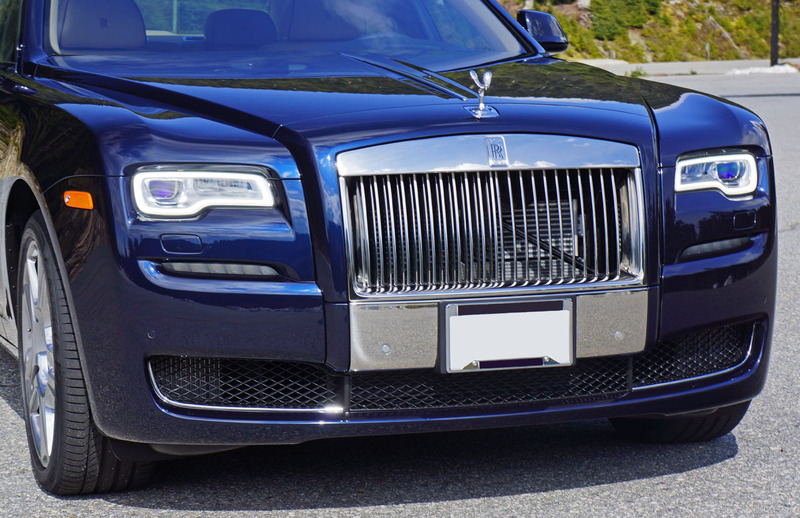 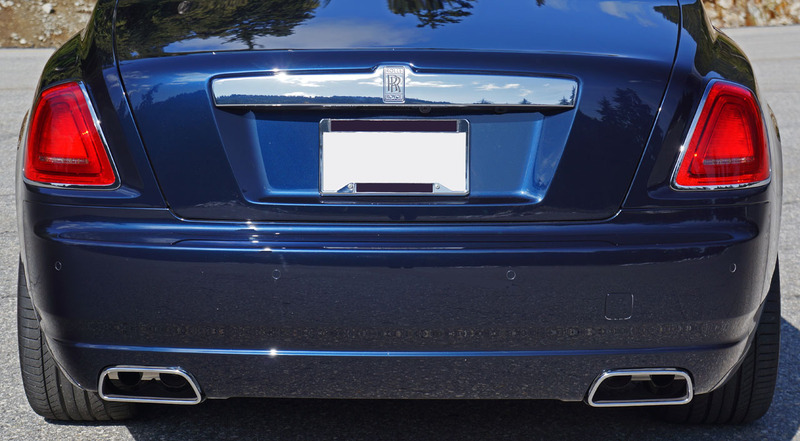 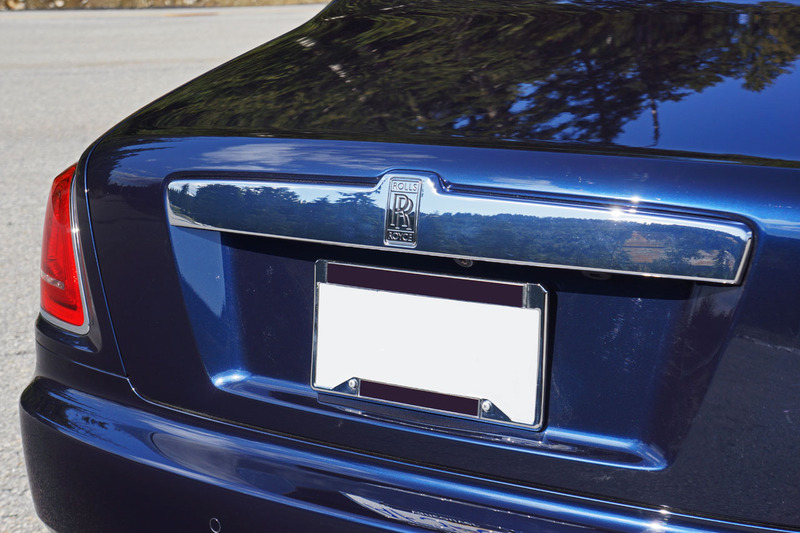 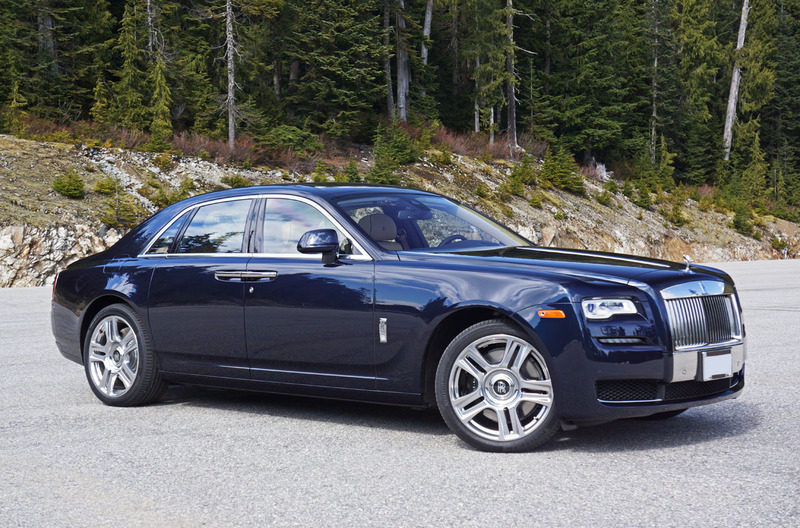 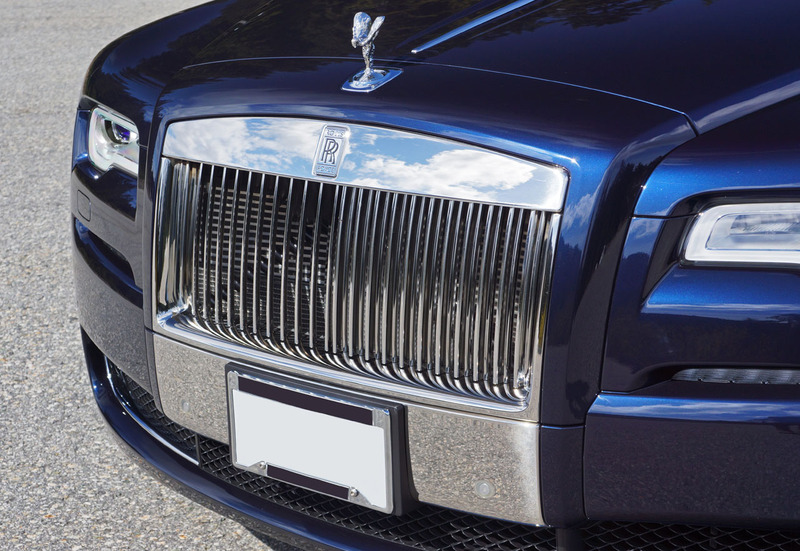 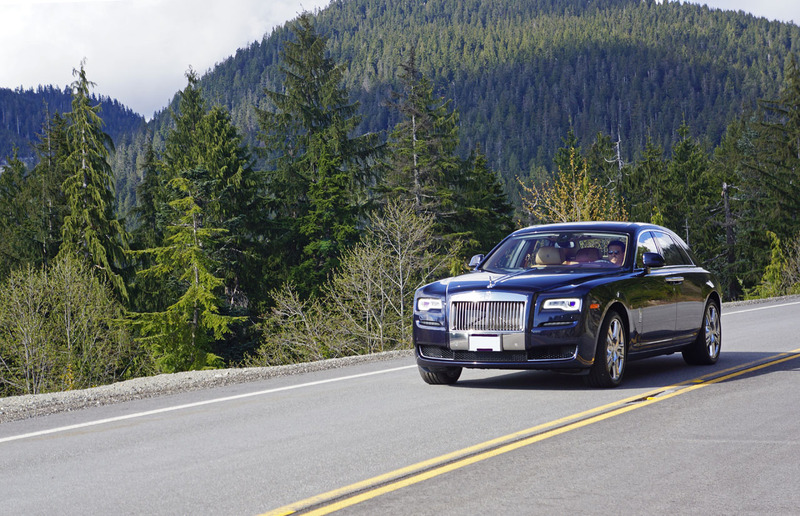 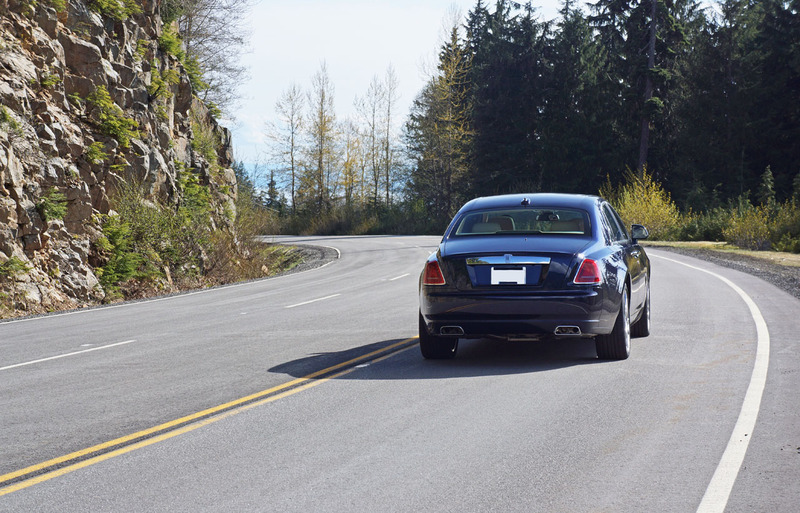 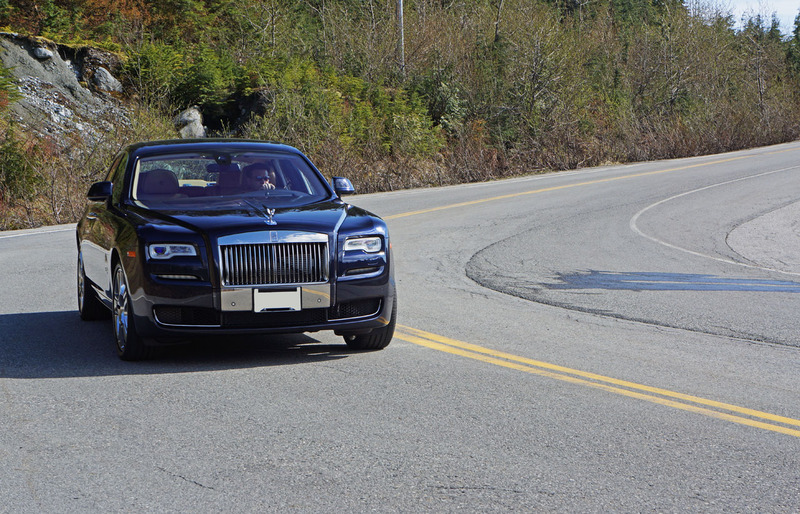 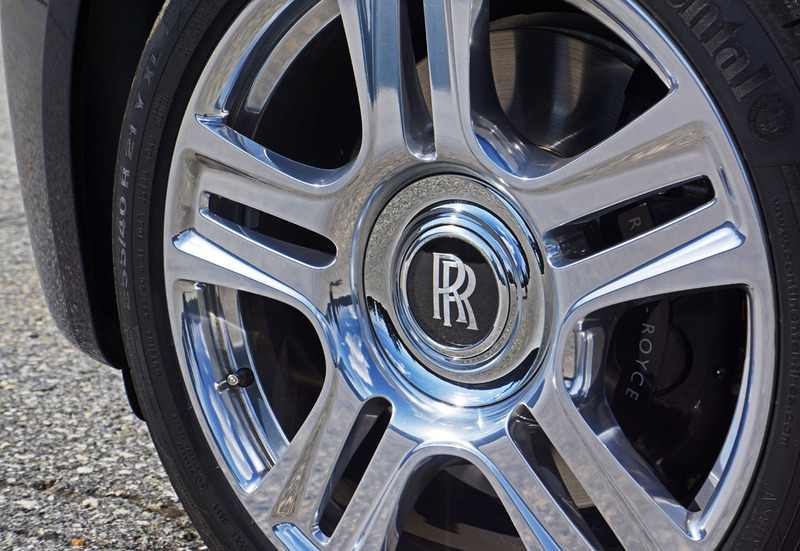 As far as four-door luxury sedans go, nothing shows you’ve arrived as adequately as a Rolls-Royce. 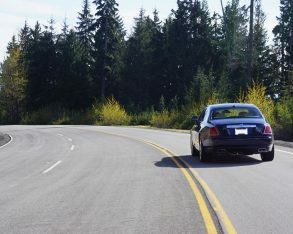 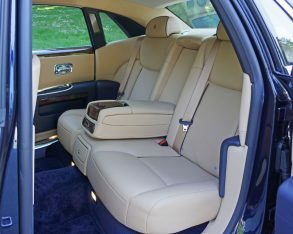 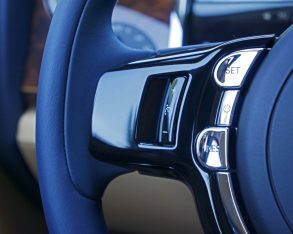 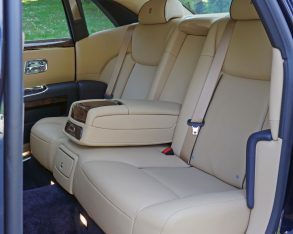 is well respected as a premium brand and its new Mercedes-Maybach S 600 a thoroughly impressive luxury car, but it loses out on cachet points due to three-pointed star siblings selling in the $30k range, these vying for the spotlight with Audi, BMW, Jaguar and even premium Japanese brands, whereas Rolls-Royce only has Bentley as a true ultra-premium competitor, and due to the greater portion of last century spent as the lesser brand under parent Rolls-Royce, Bentley has long been deemed the poor man’s Rolls in the same fashion as a Tudor wristwatch is the poor man’s Rolex. 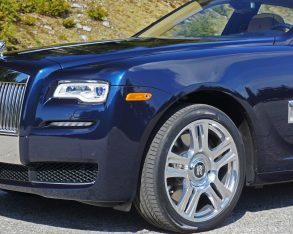 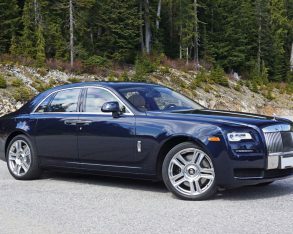 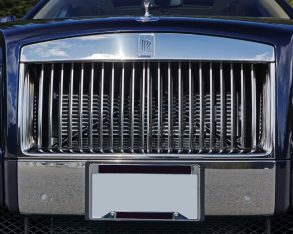 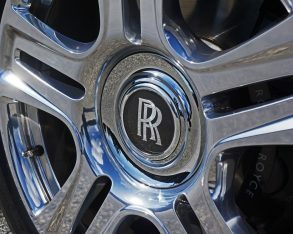 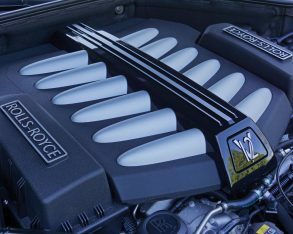 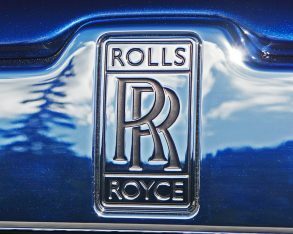 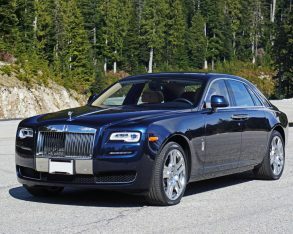 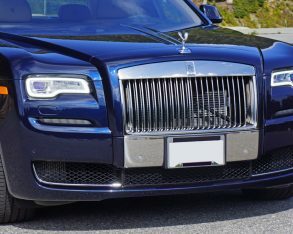 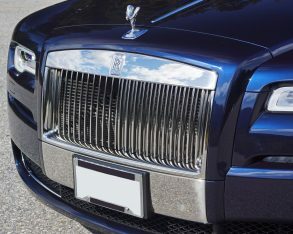 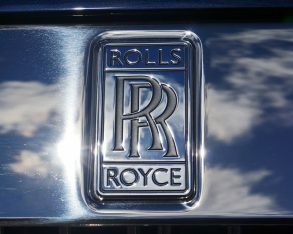 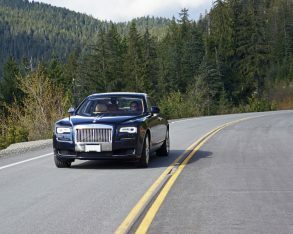 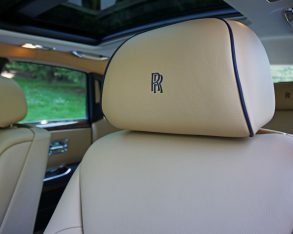 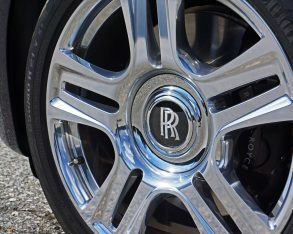 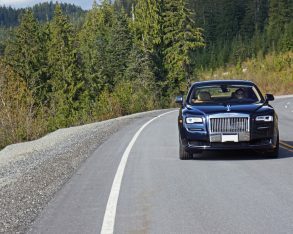 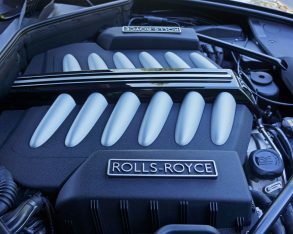 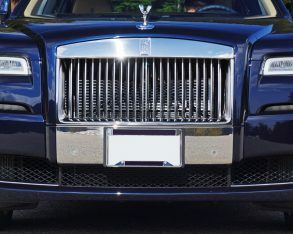 This, along with the fact there are much fewer Rolls-Royce models on the road than Bentleys makes the Goodwood, Sussex-based British marque much more prestigious than anything made in Crewe, or for that matter Volkswagen’s Dresden, Germany factory where the Flying Spur is produced alongside the VW Phaeton. 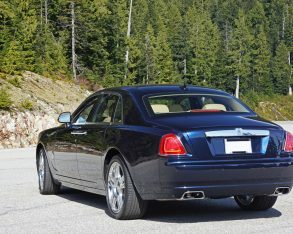 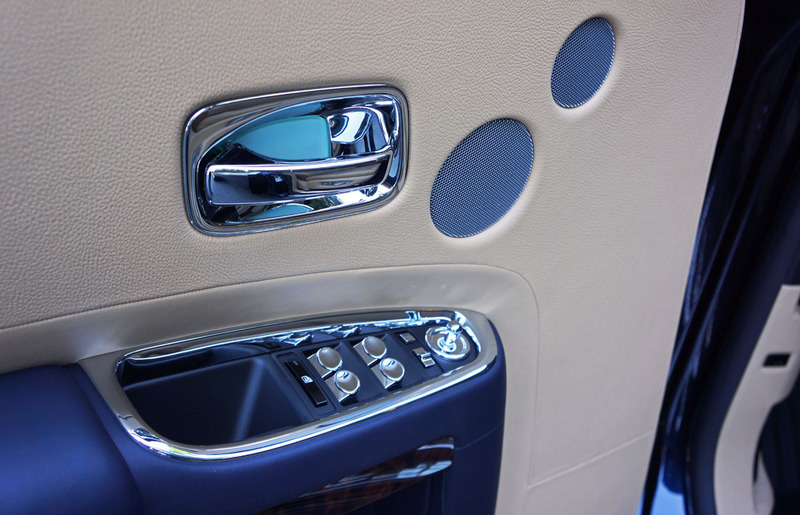 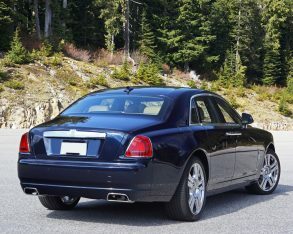 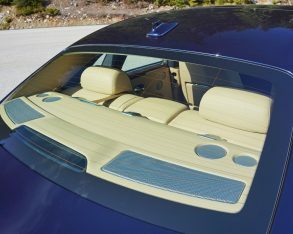 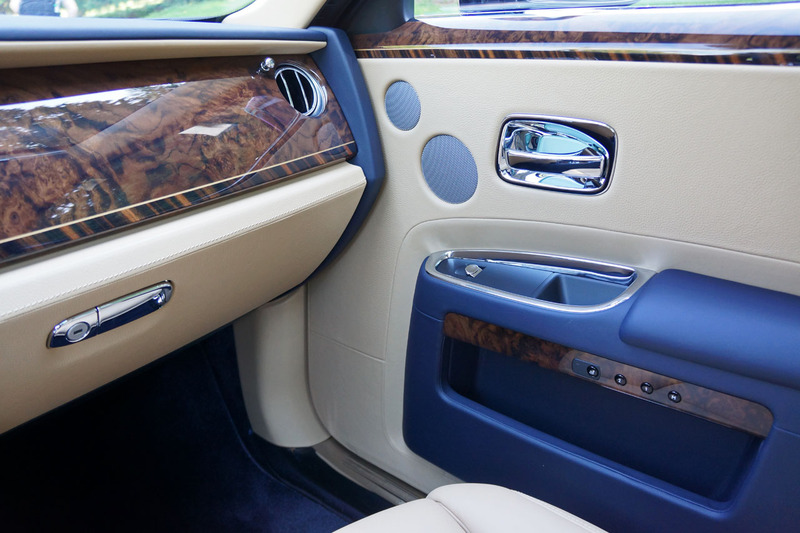 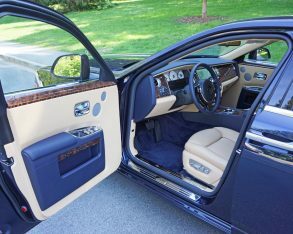 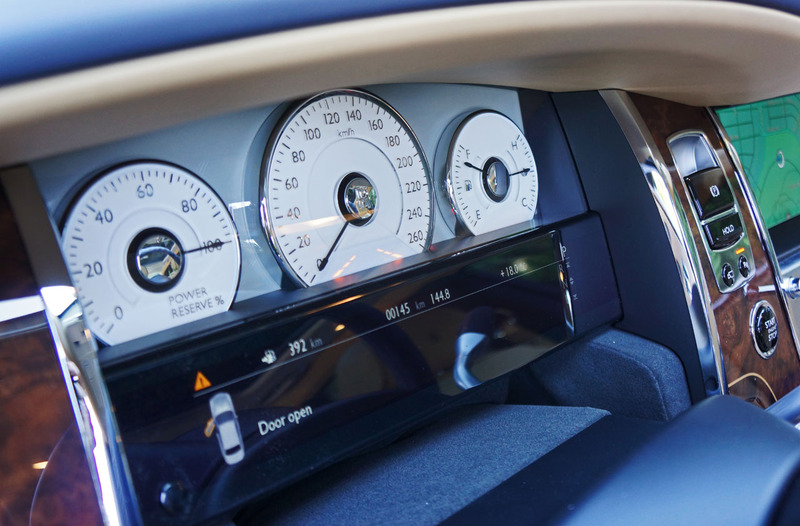 Flying Spur is the Rolls-Royce Ghost’s chief rival, a car based on Volkswagen Phaeton architecture. 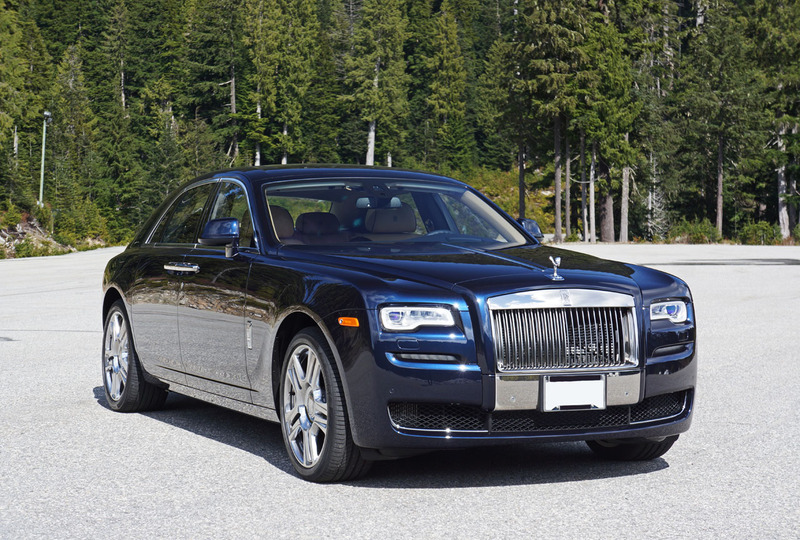 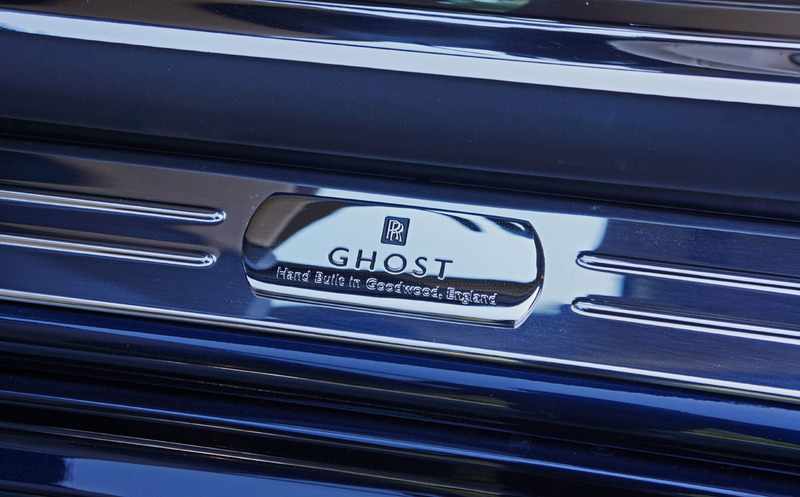 The Ghost shares underpinnings with the current BMW 7 Series F01/02 platform, although only 20-percent of 7 components are apportioned to the Ghost as its design is heavily modified. 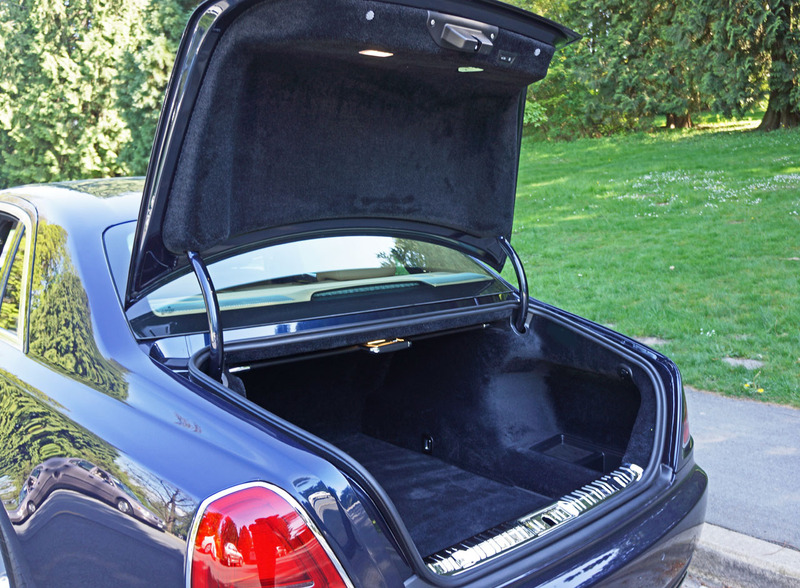 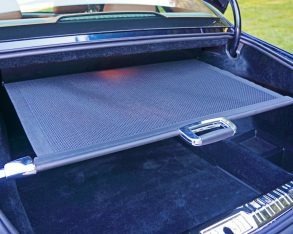 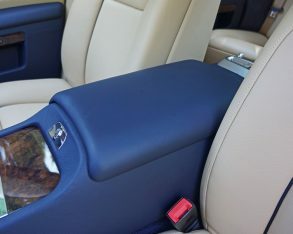 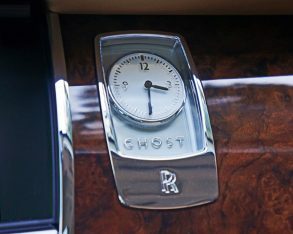 A keen eye will pick out small details like the plastic casings for the vanity mirrors and adjoining clips, the circular Velcro fasteners for the floor mats, etcetera, items that won’t likely put anyone off buying a Ghost as they mostly go unseen. 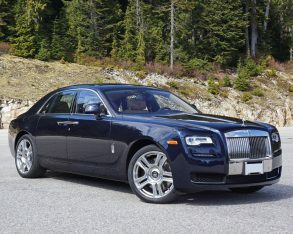 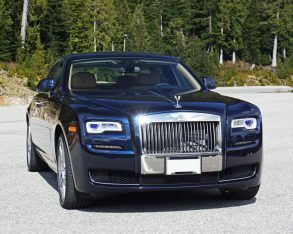 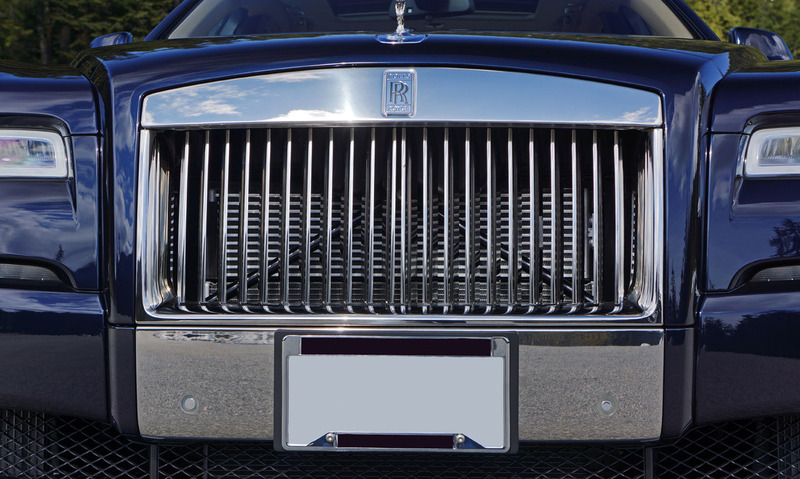 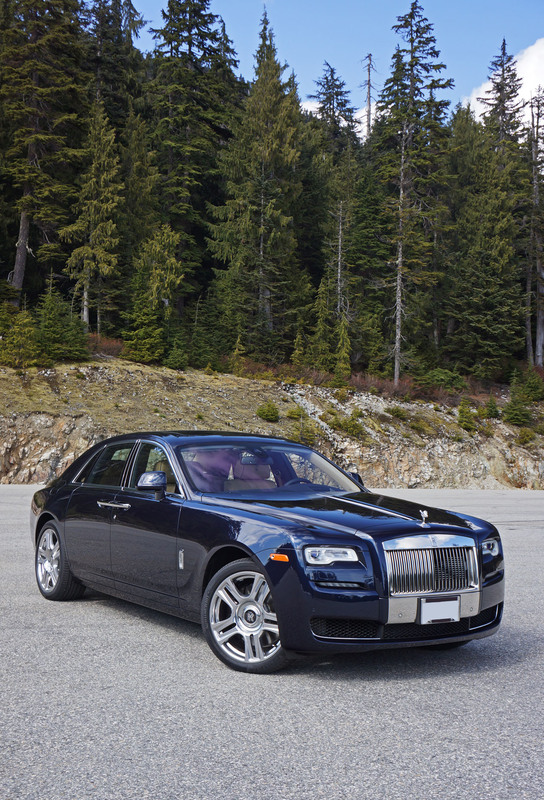 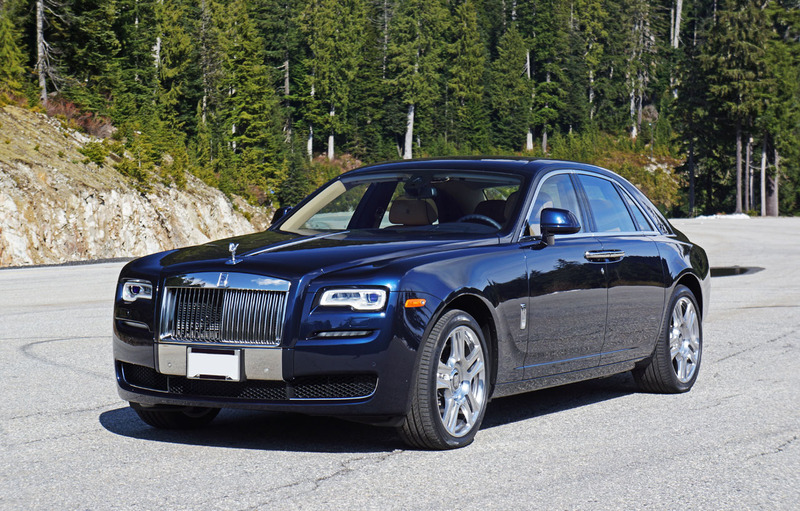 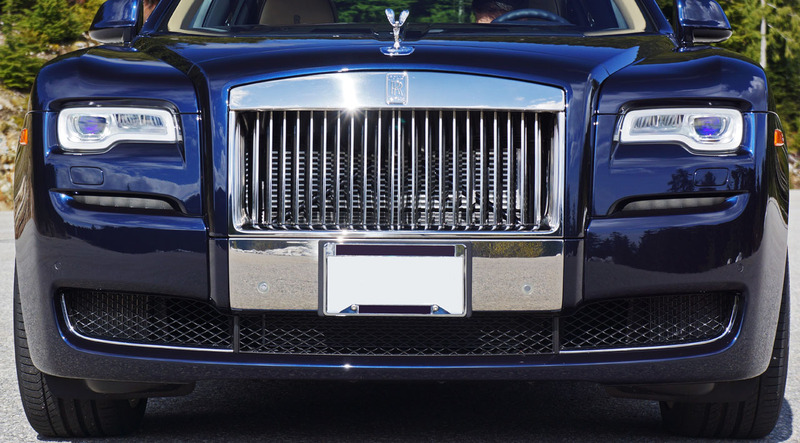 Unlike the aluminum-bodied Phantom, the Ghost is constructed of high-strength steel and therefore weighs almost as much despite its smaller size, the base Phantom hitting the scales at 2,550 kilos (5,620 lbs) and the Ghost weighing in at 2,490 kg (5,490 lbs). 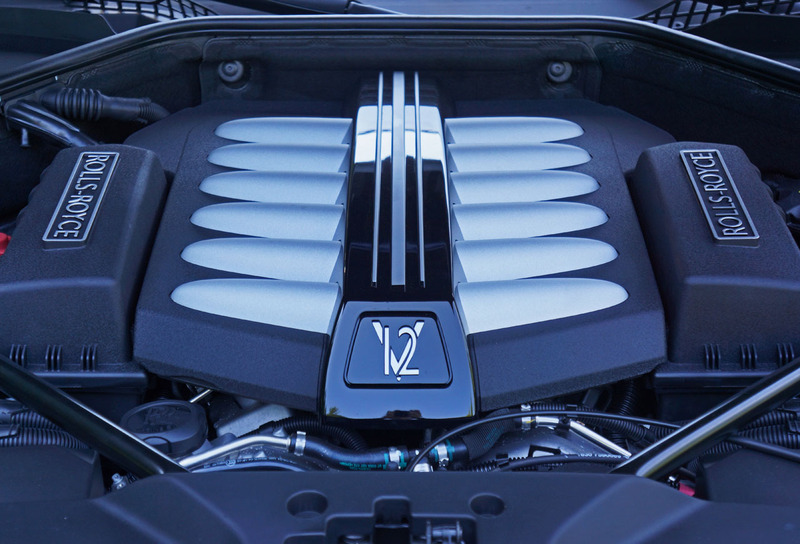 case you were wondering, that’s a lot of poundage for any car, reason enough for a powerful engine under the hood. 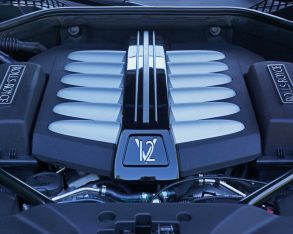 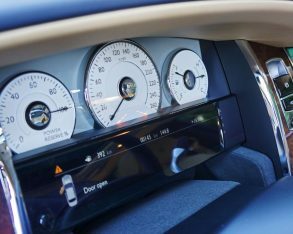 Where the 2,422-kg (5,341-lb) Bentley Flying Spur utilizes V8-power in base trim, the Ghost relies solely on the performance of a V12. 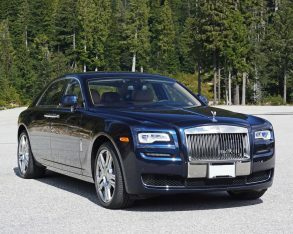 At 6.6 litres in displacement and sporting two turbochargers between its manifolds, the Ghost’s powerplant produces 562 horsepower and 575 lb-ft of torque resulting in an almost silent but nevertheless breathtaking sub-5.0-second sprint to 100km/h. 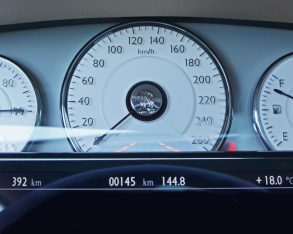 mapping data to control gear levels, which allows it to “see” beyond the corner or crest, anticipating the appropriate gear based on speed and your current driving style. 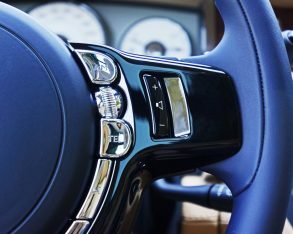 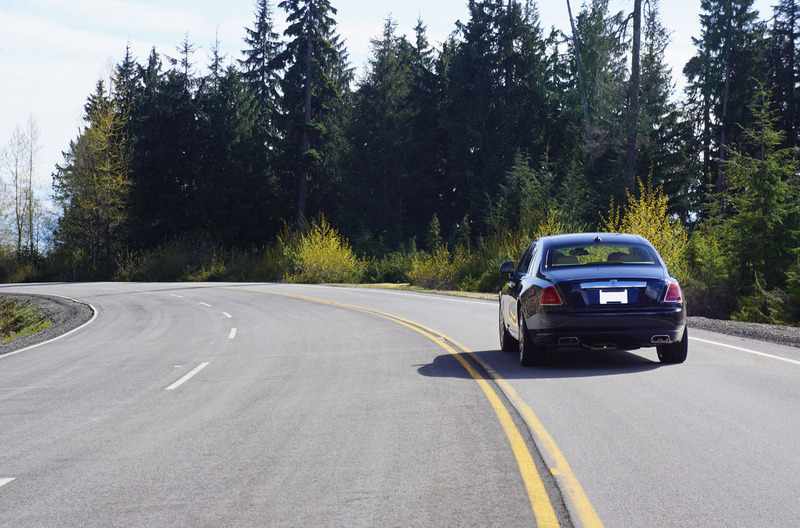 It predicts the outcome, and being in control of the situation gets its predilections right more often than not, allowing higher speeds with safer outcomes each and every turn. 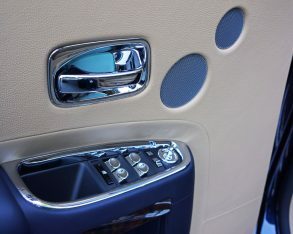 imperfections at all, the Ghost purposely isolating driver and passengers from such untoward behaviour. 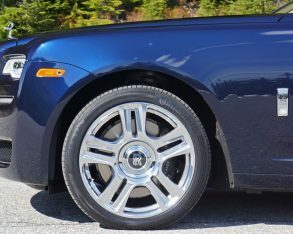 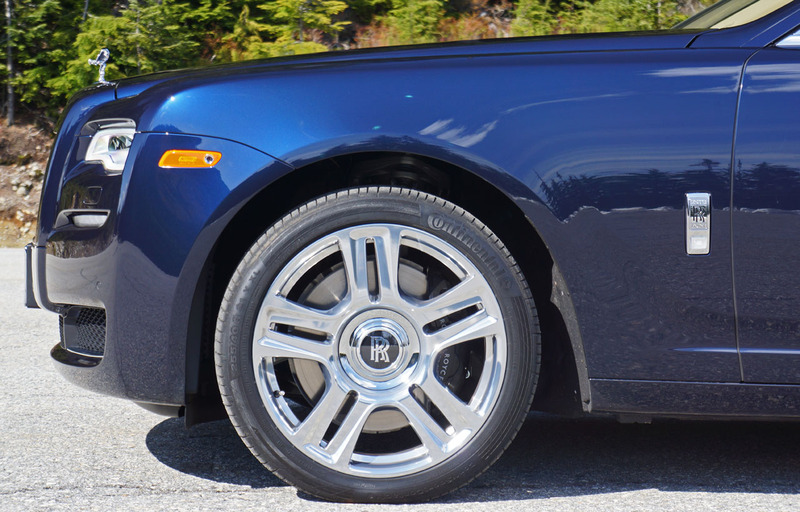 You’d think with those massive 21-inch alloys on 255/40R21 Continental ContiSportContacts you’d feel every pebble, but the Ghost never exhibited such incivilities. 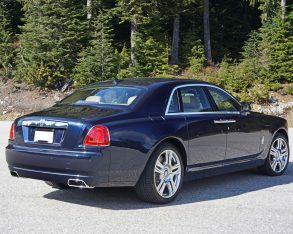 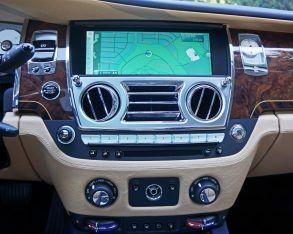 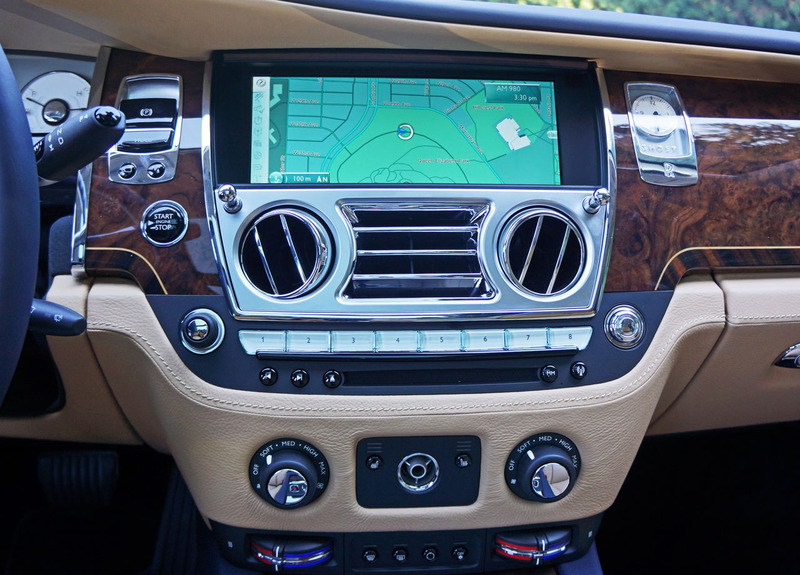 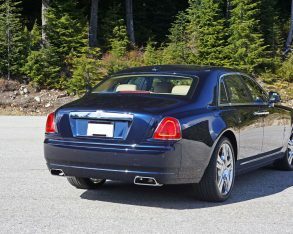 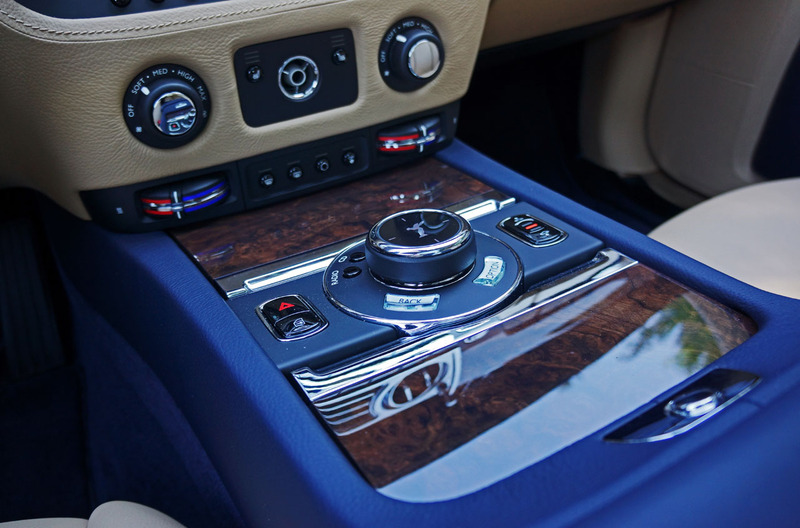 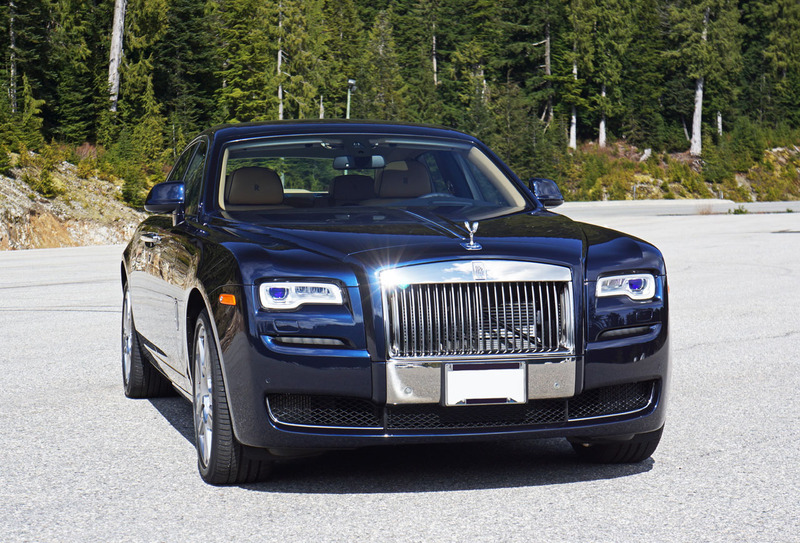 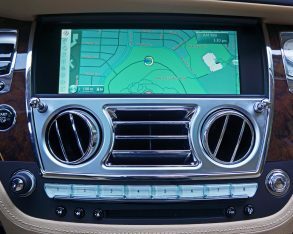 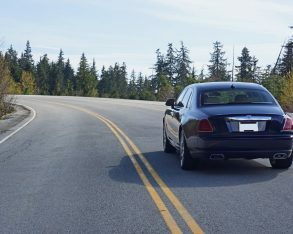 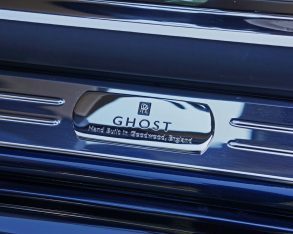 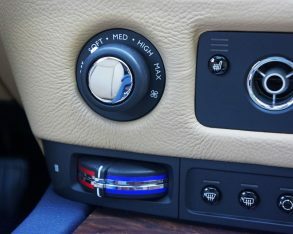 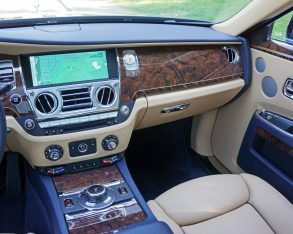 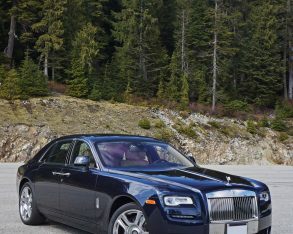 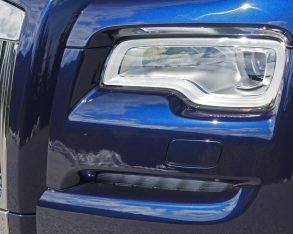 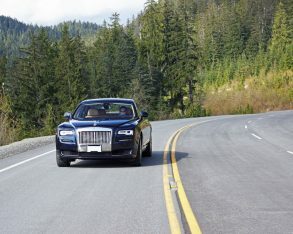 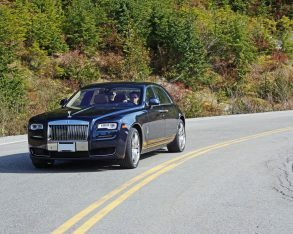 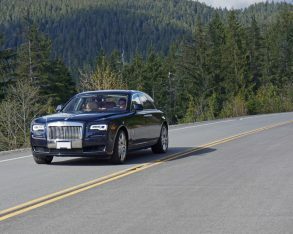 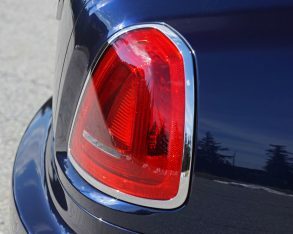 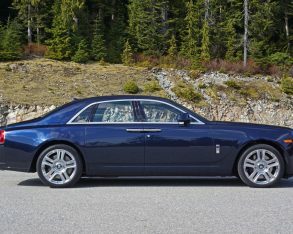 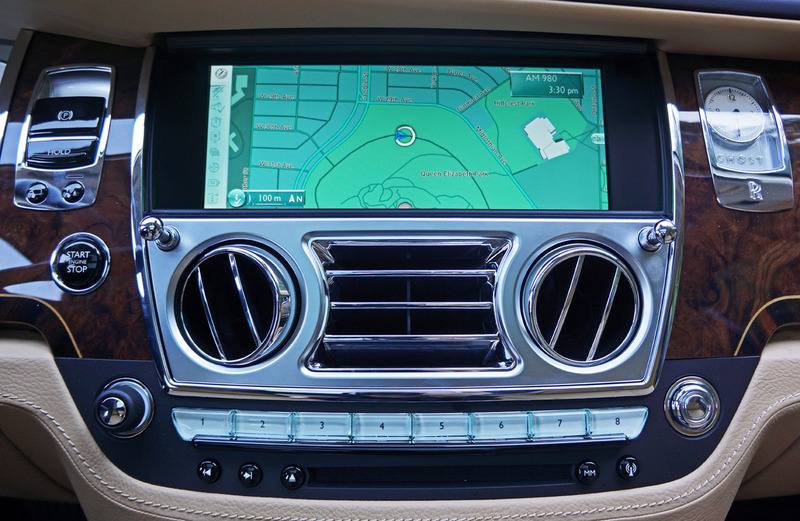 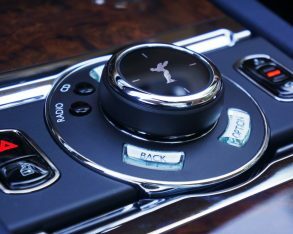 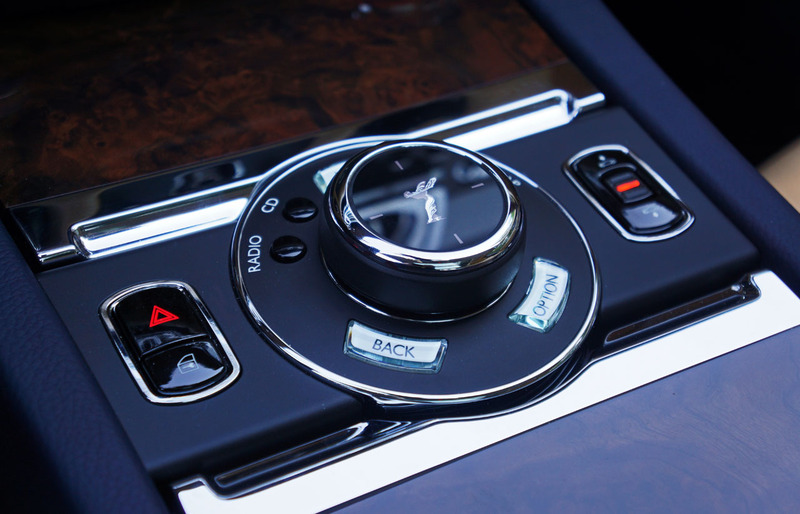 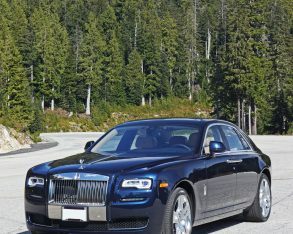 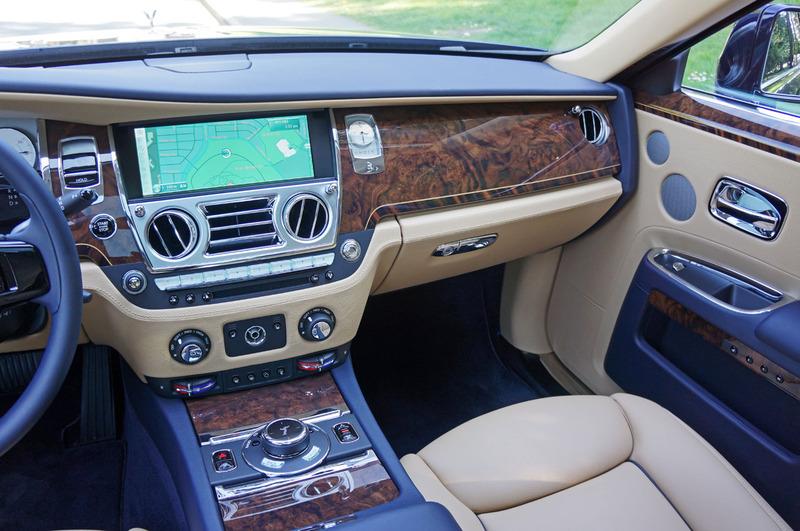 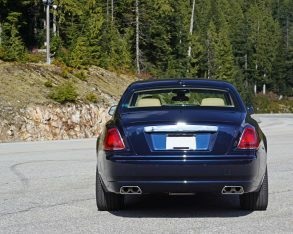 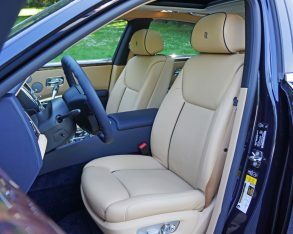 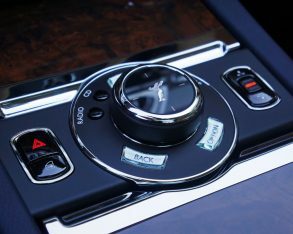 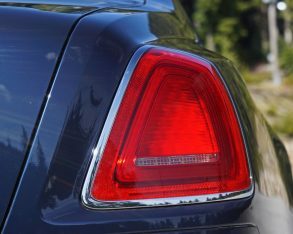 As you’d expect with a car that’s priced similarly to a small Vancouver investment condo, some of the Ghost Series II’s standard features are rather unique. 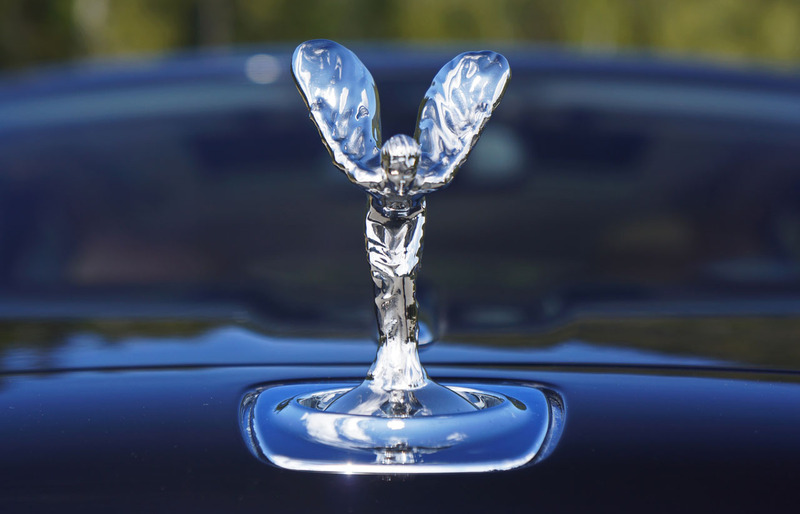 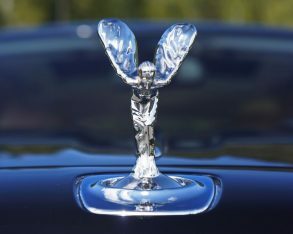 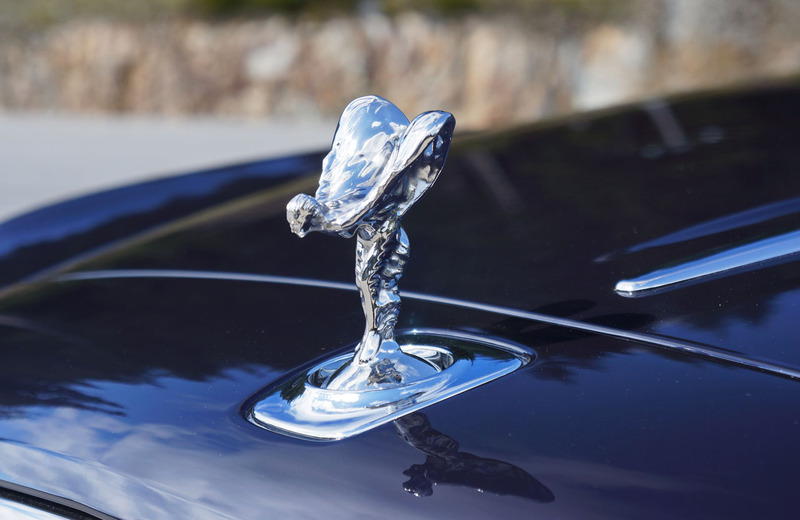 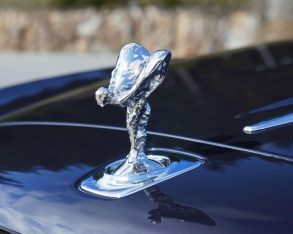 For instance, the beautiful Spirit of Ecstasy hood ornament is electrically retractable, while the wheel hubs feature R-R emblems that remain constantly level due to counterbalanced bearing mounts. 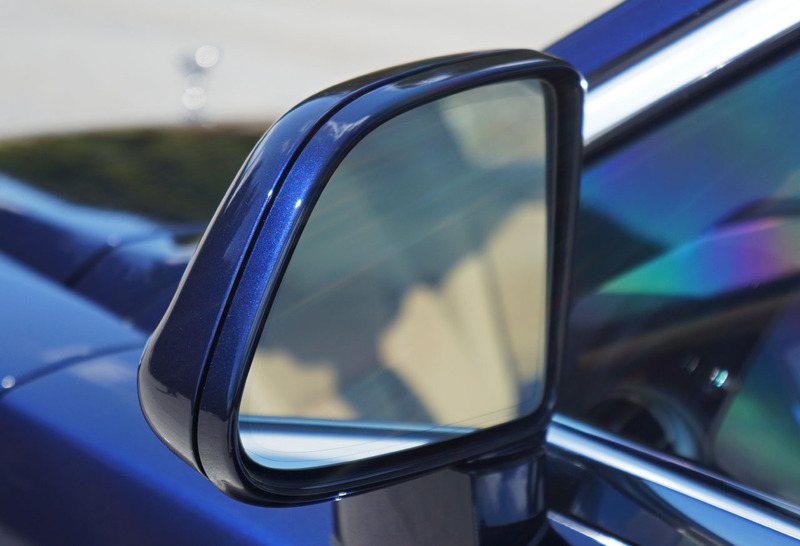 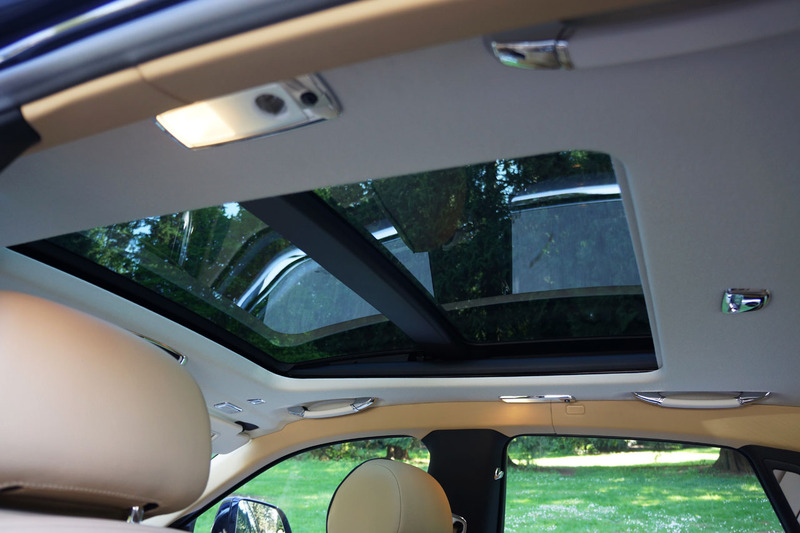 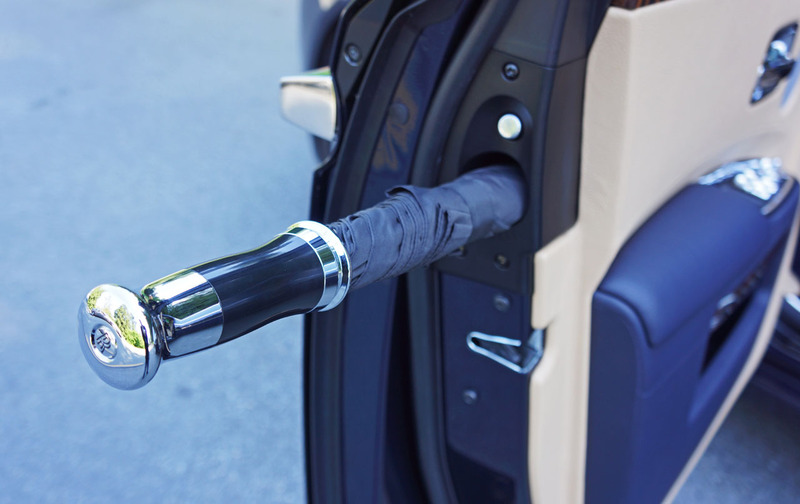 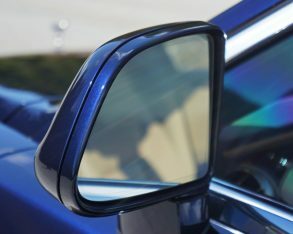 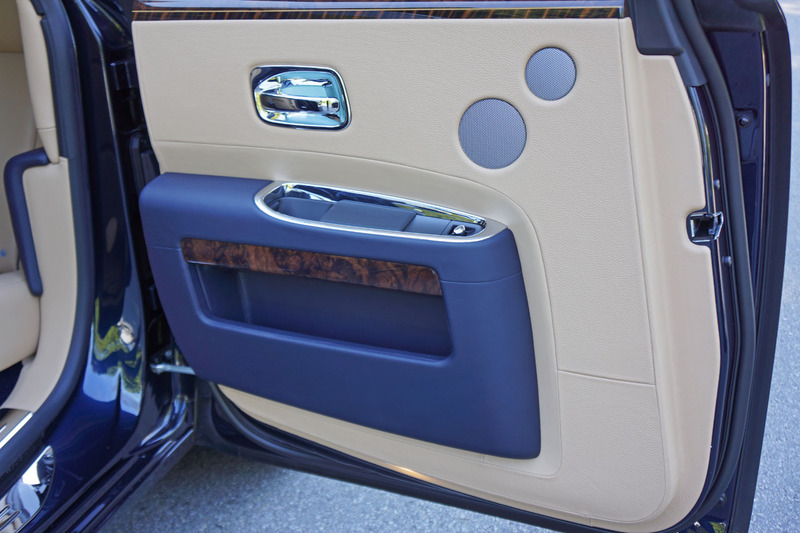 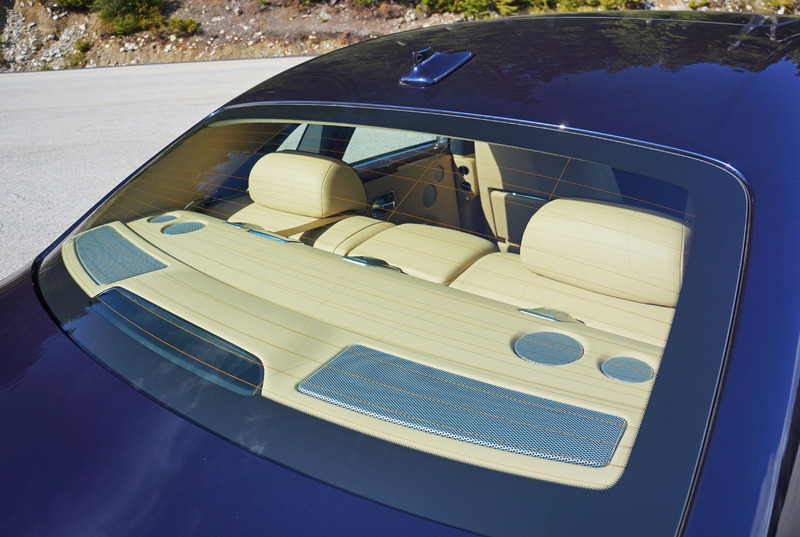 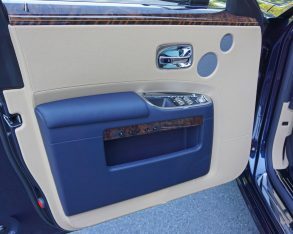 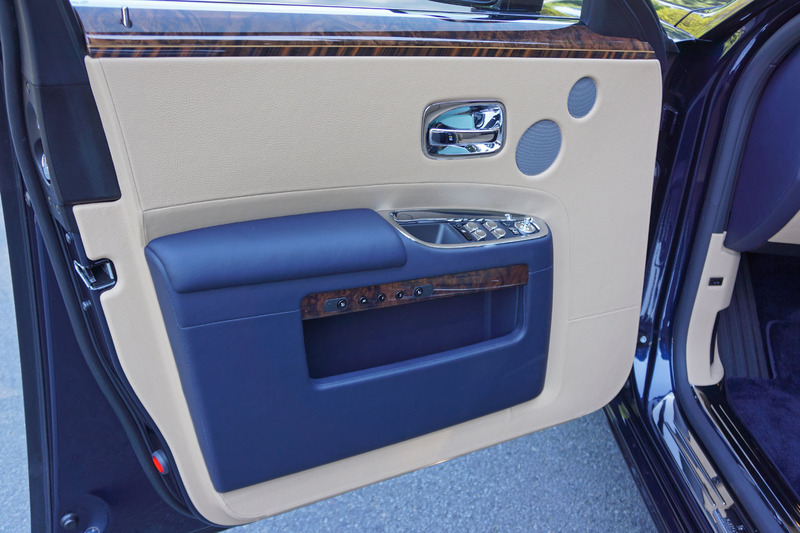 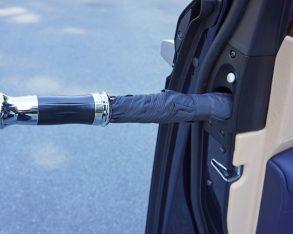 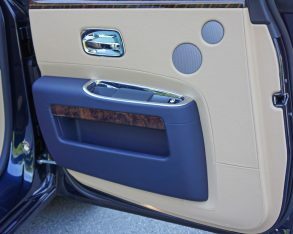 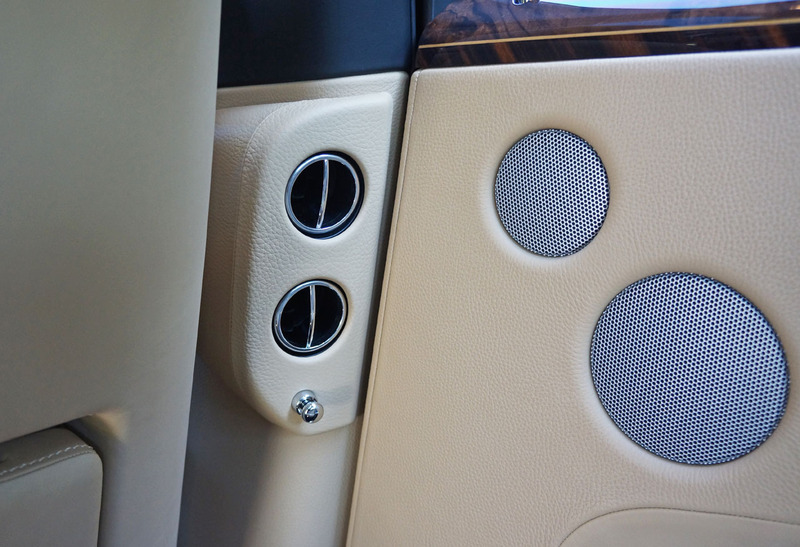 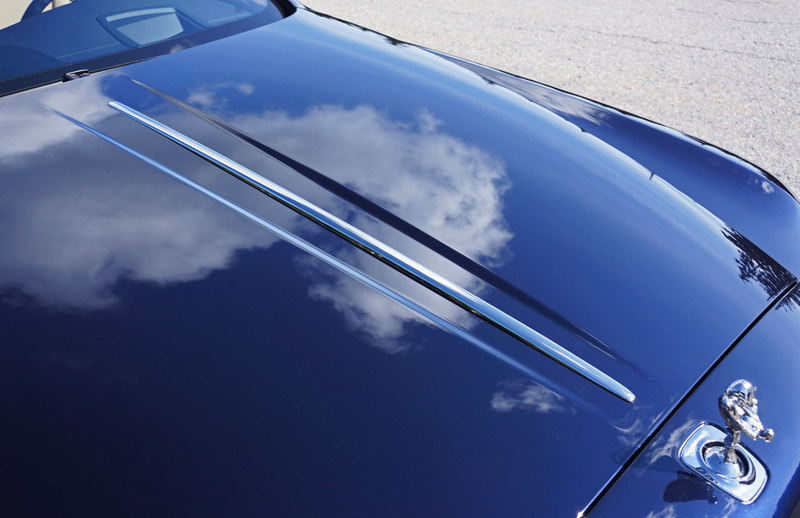 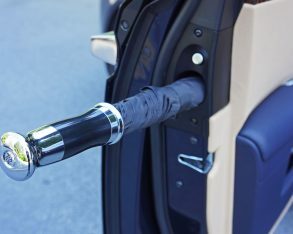 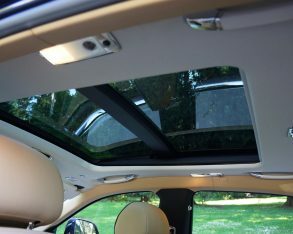 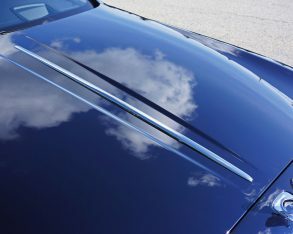 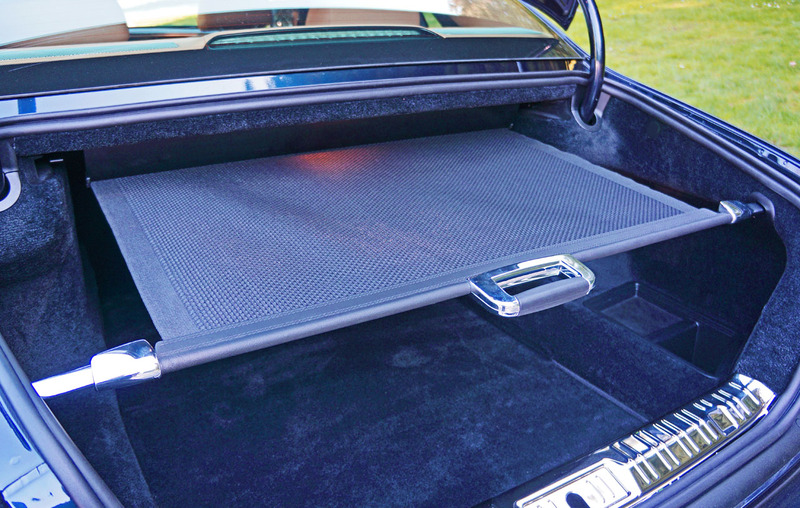 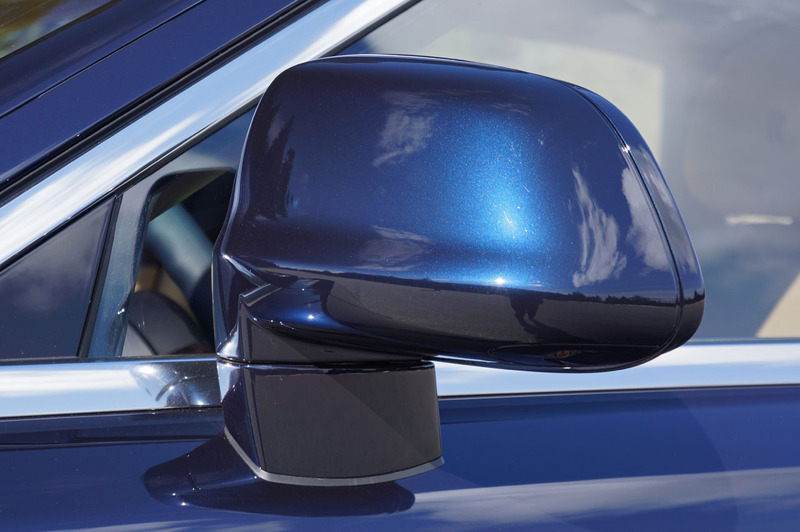 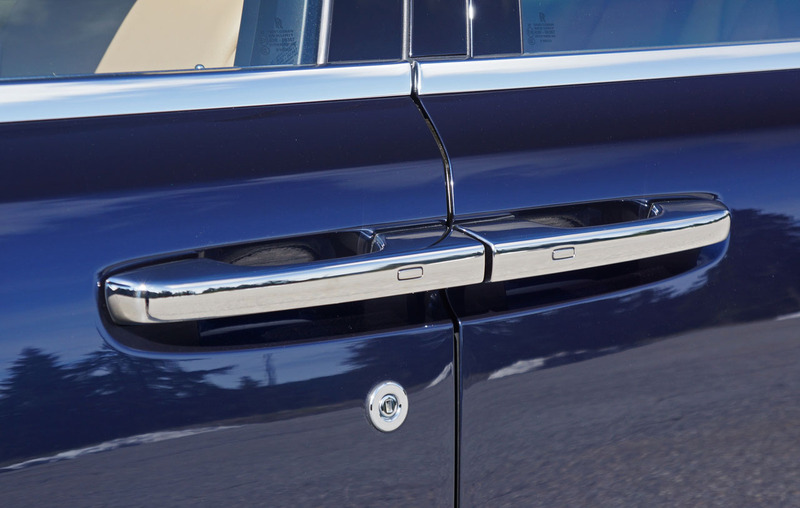 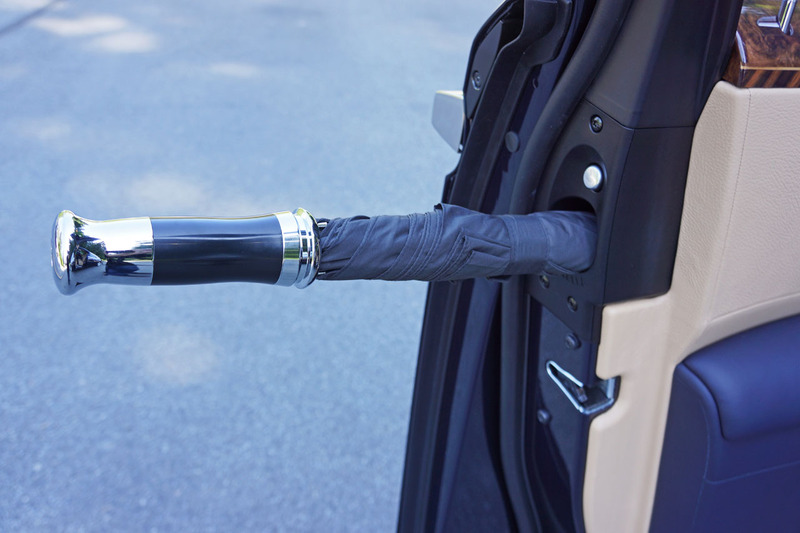 What’s more, each front door features a full-length Teflon-coated umbrella integrated within, whereas the car’s rear-hinged coach doors in back are electronically regulated. 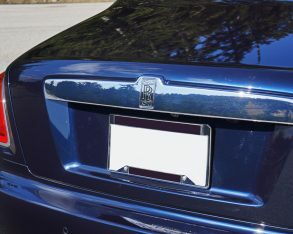 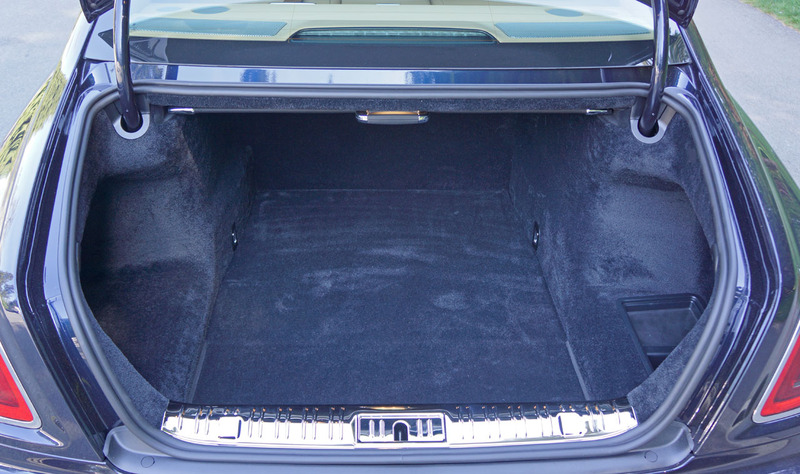 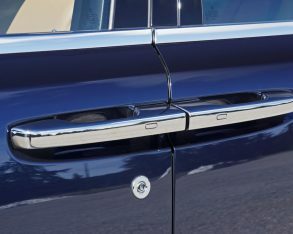 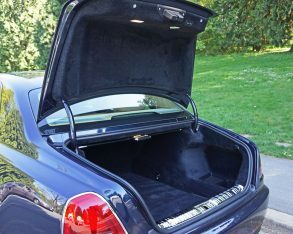 doors automatically cinch closed, as does the trunk lid, but this is nothing new for the premium sedan class, although the LED headlamps pose an interesting twist. 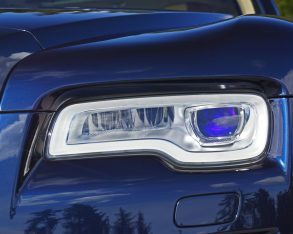 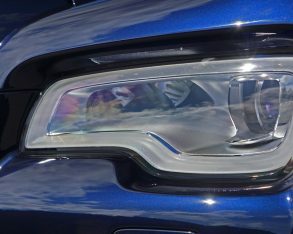 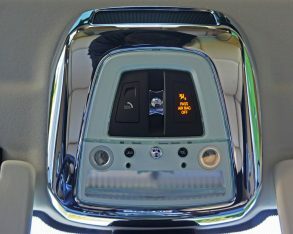 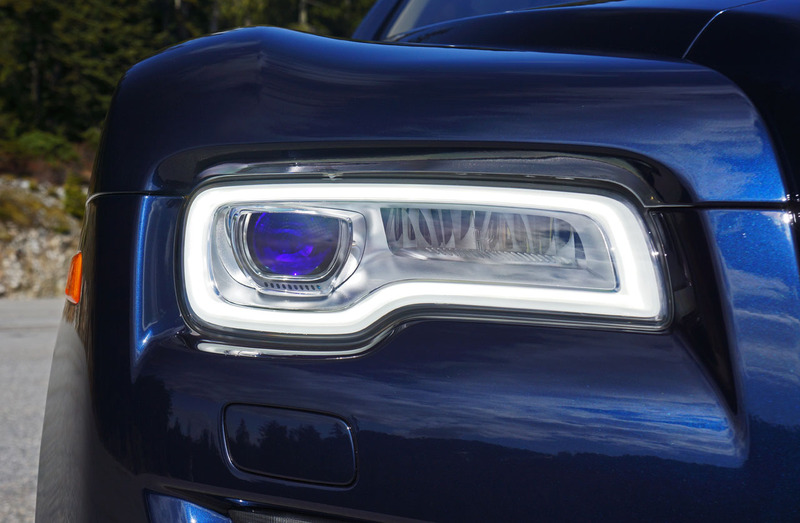 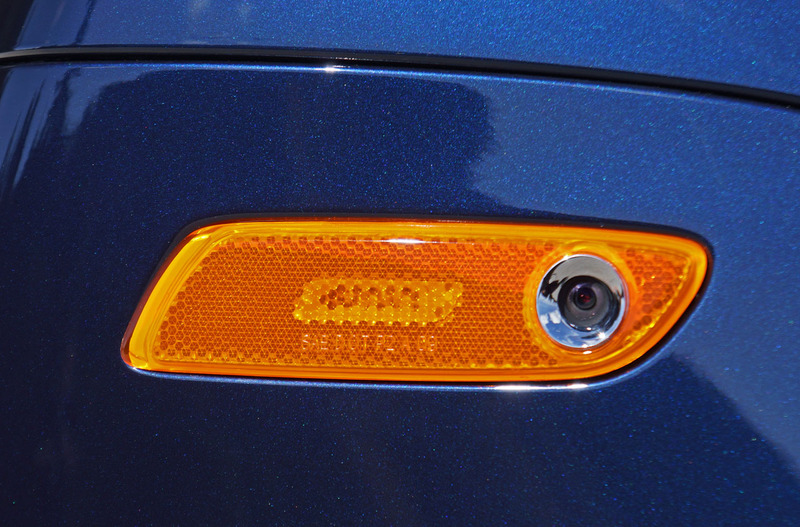 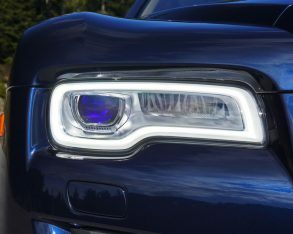 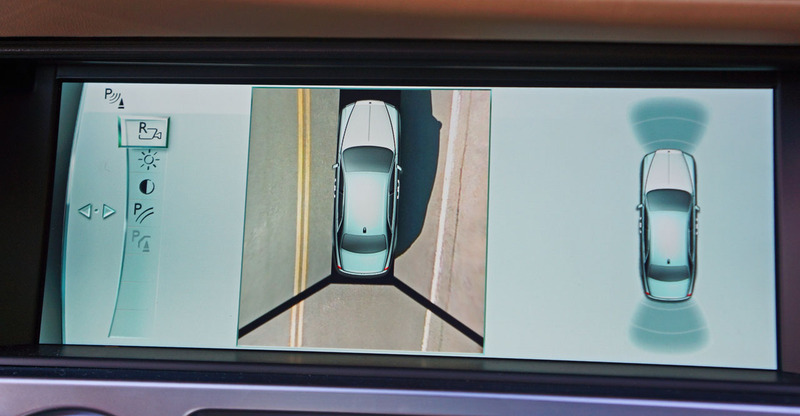 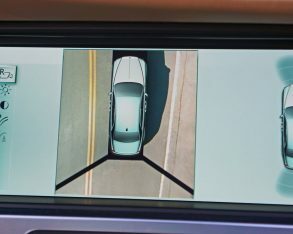 While they’re adaptive, responding to steering wheel input, they also incorporate new glare-free high beams. 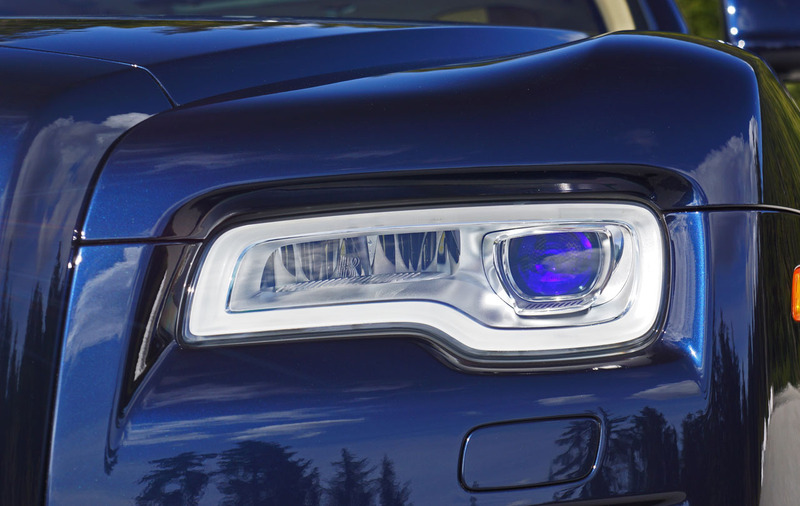 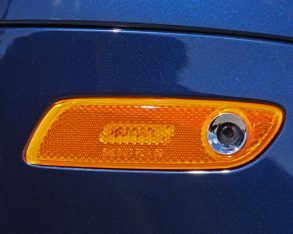 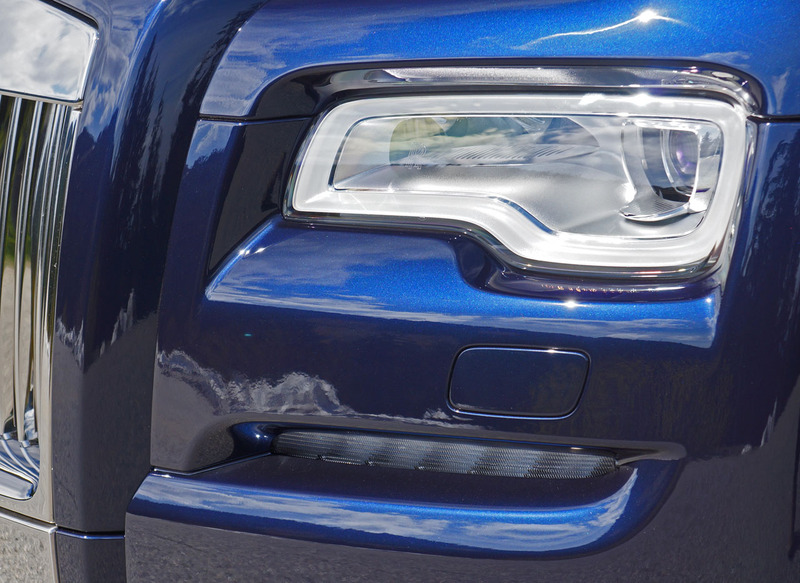 These replace the old Ghost’s automatic high-beam system, and instead deflect the lights’ beam so that approaching drivers aren’t blinded, making long stints on the highway at night easier thanks to the brighter light of high-beams the entire way. 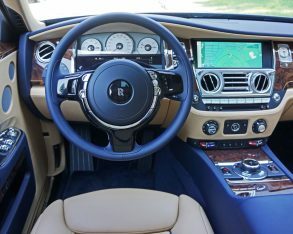 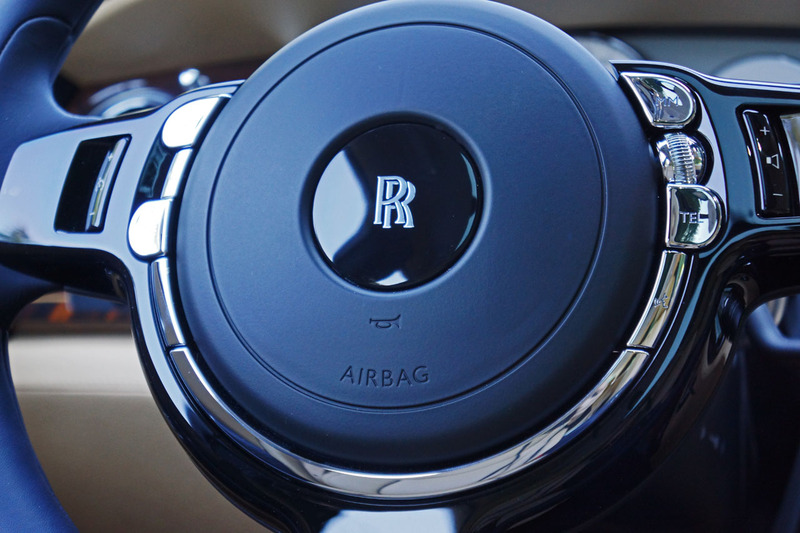 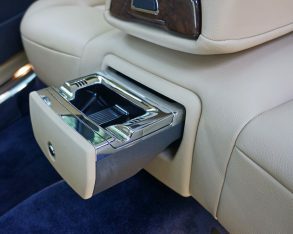 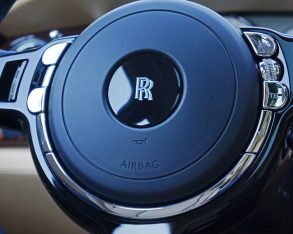 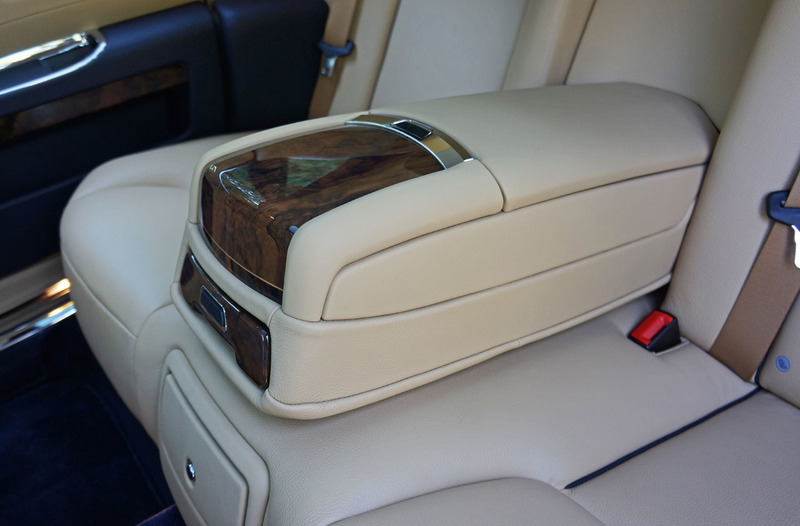 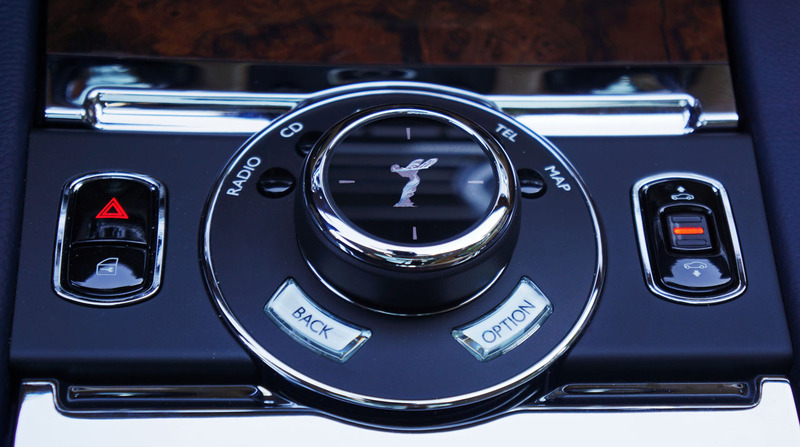 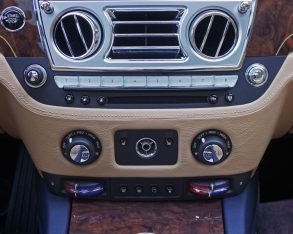 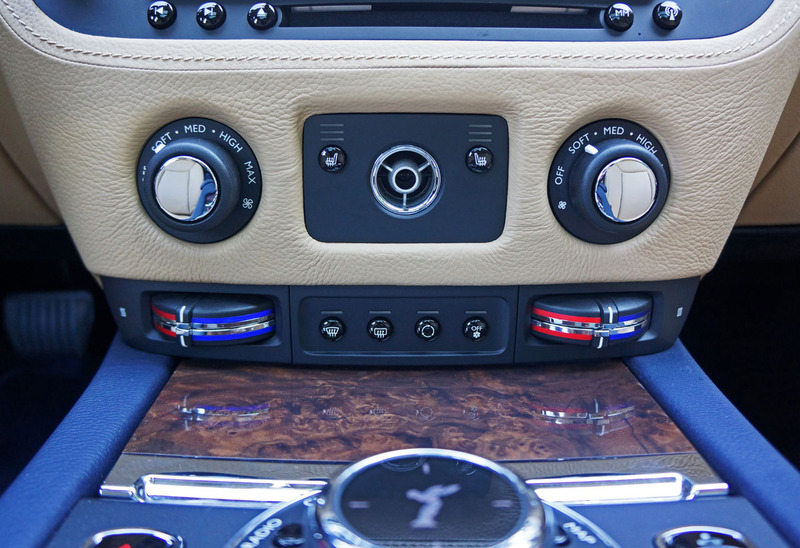 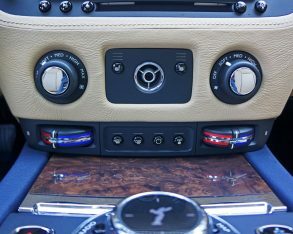 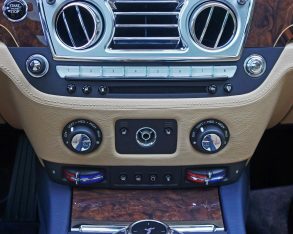 Audio system that Rolls-Royce calls “the most exhaustively designed automotive hi-fi system ever developed,” boasting 18 individually tuned speakers, theatre and studio settings, frequency and phase correction for individual speakers, 20.5 gigs of hard-drive storage, and more. 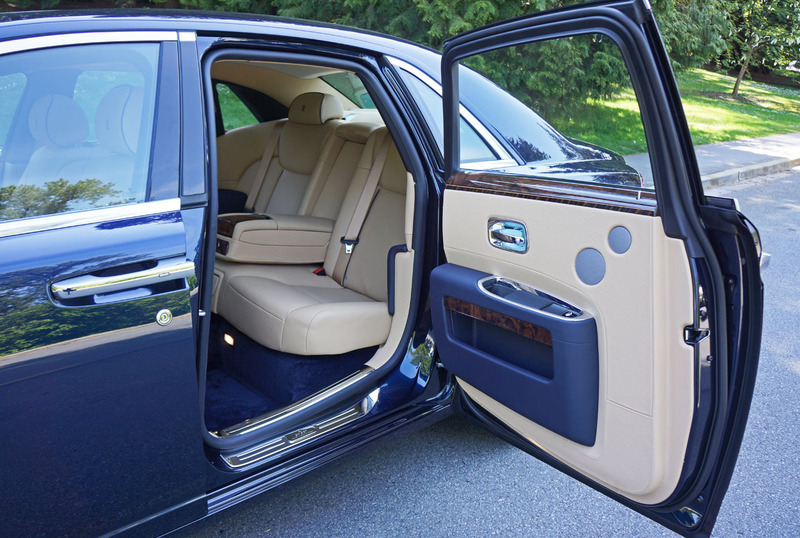 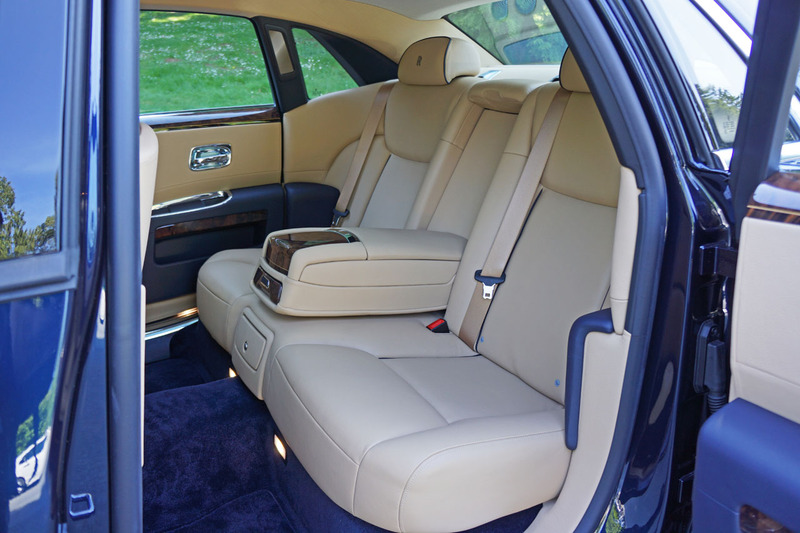 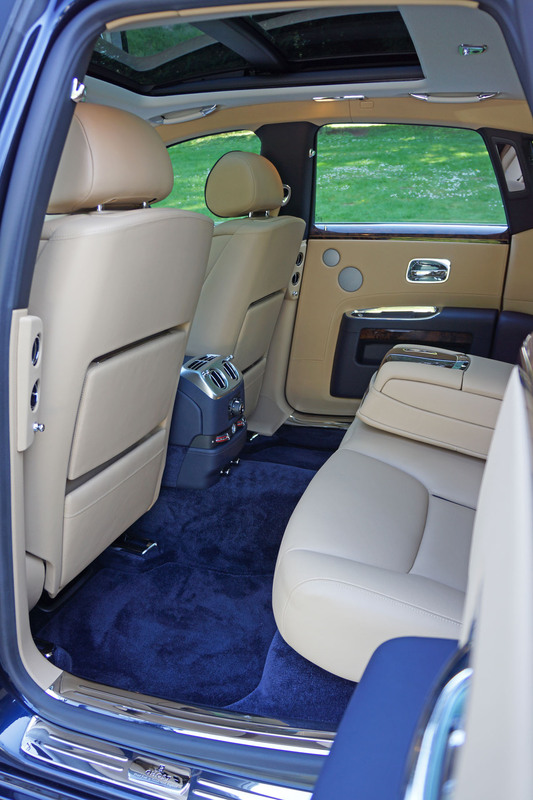 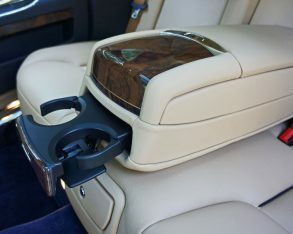 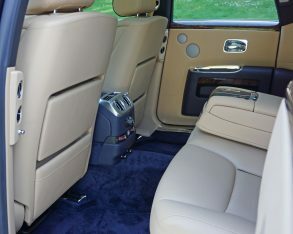 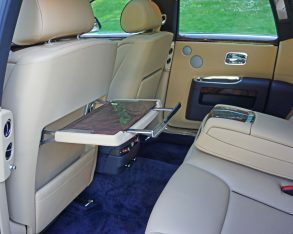 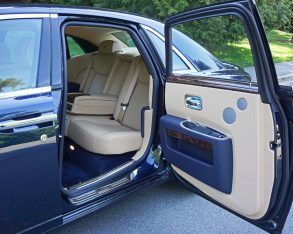 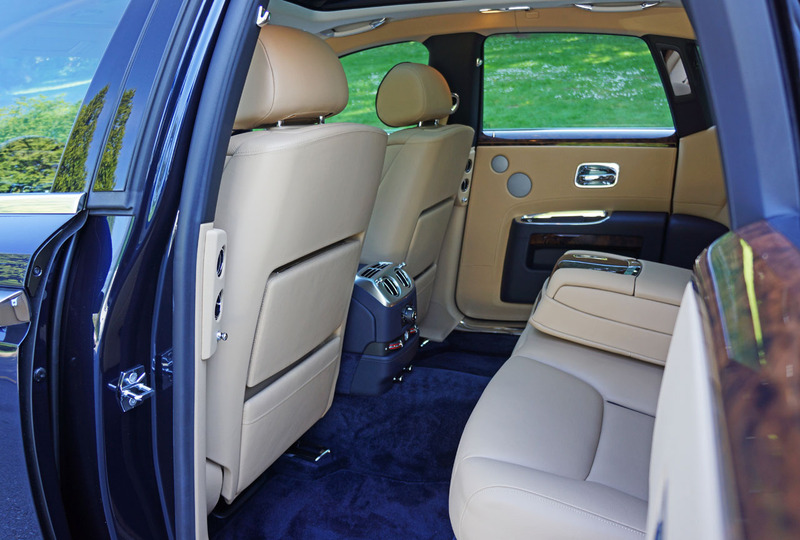 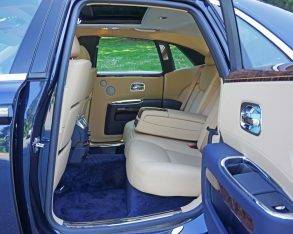 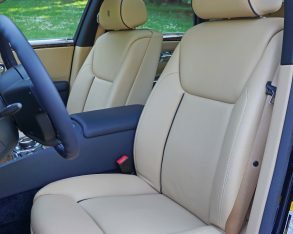 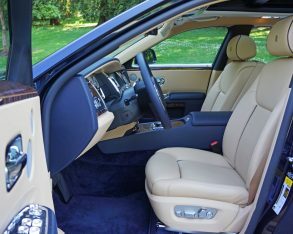 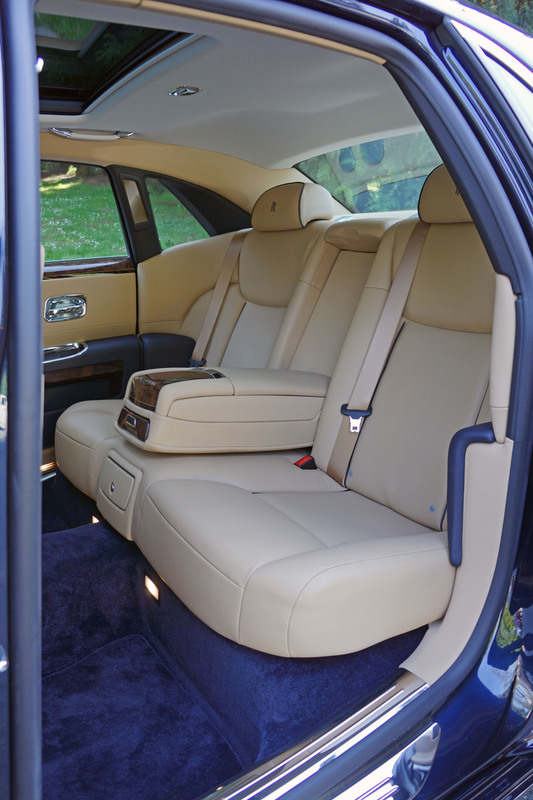 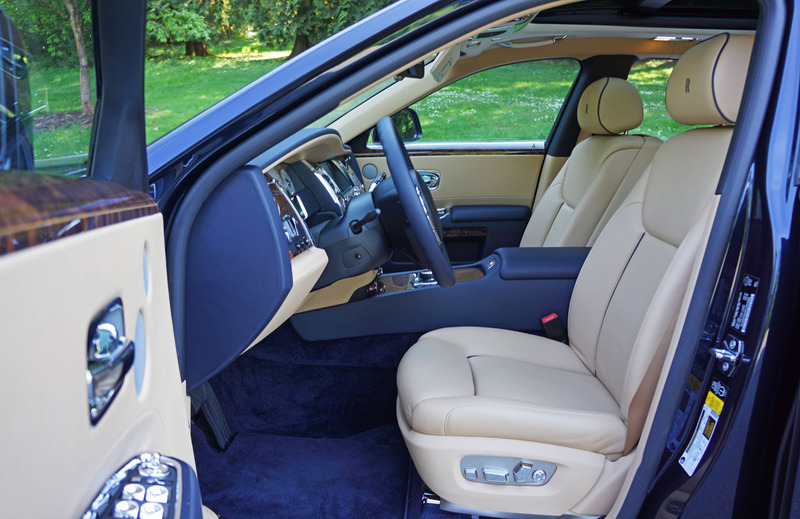 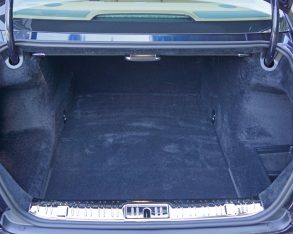 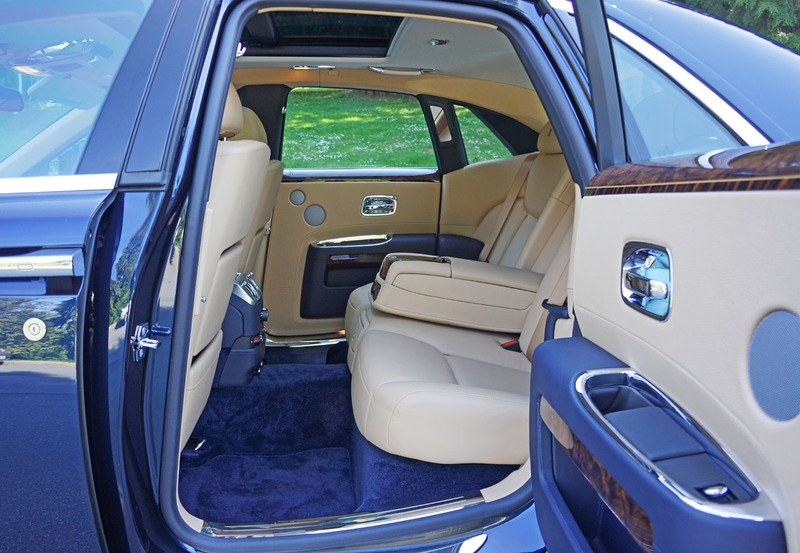 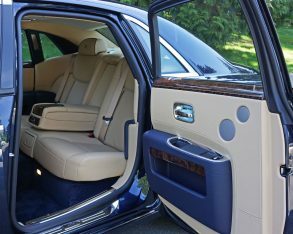 an extended wheelbase model can be had which adds 170 mm (6.7 inches) of rear legroom and a more regal appearance inside and out. 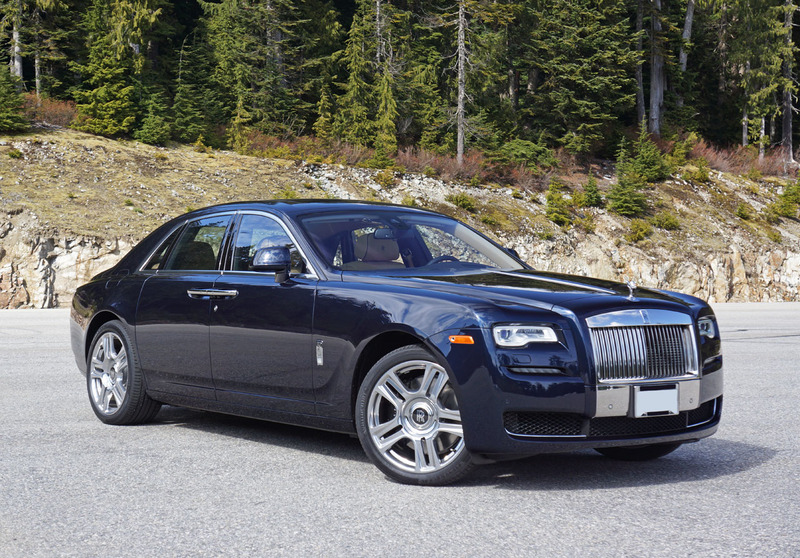 No matter the list of options, the Ghost Series II is easily one of the best-built cars available today. 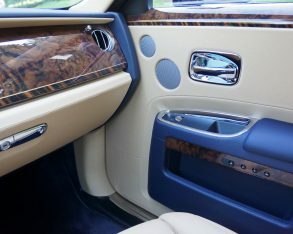 I could ramble on for hours about its seemingly perfect interior quality, the scrupulous attention paid to every detail and, of course, the cabin’s generous helping of chromed metal, with each turn of the head resulting in yet another awe inspiring example of handcraftsmanship, and my words wouldn’t do it justice. 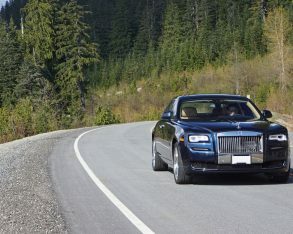 drive by. 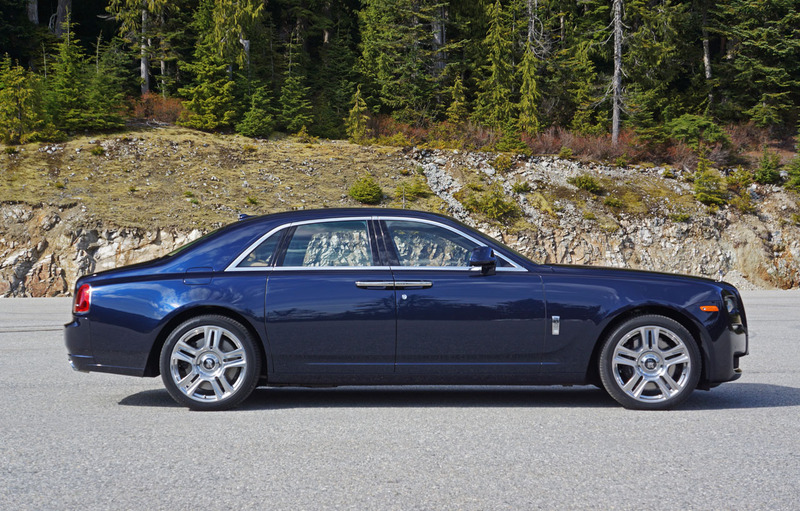 First and foremost the Ghost isn’t exactly a car you see every day. 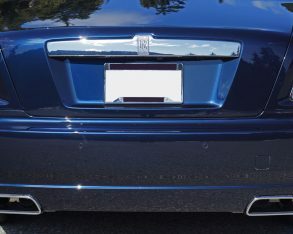 During a quick stroll that covered a couple of city blocks near my downtown apartment, my partner and I saw two new bright red Ferraris, a silver McLaren, umpteen BMWs and Mercedes’ in M and AMG trims respectively, a two-door Maserati and even a couple of Bentley coupes, but not a single R-R badged car. 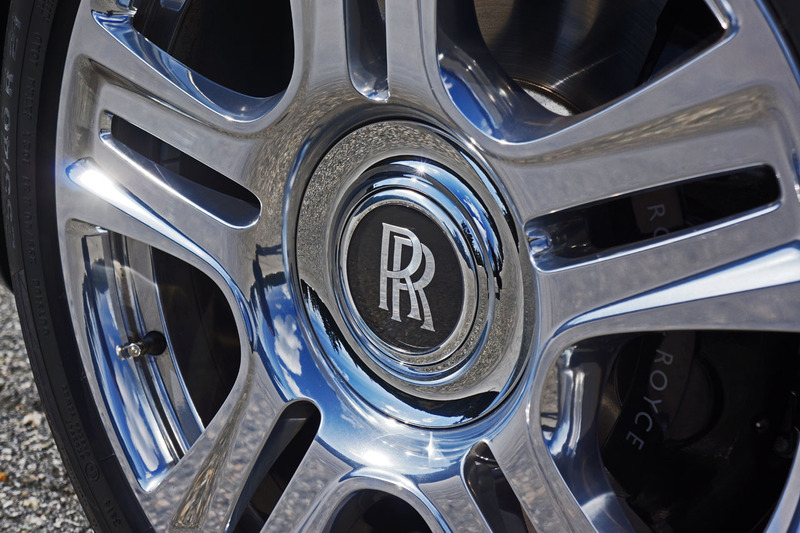 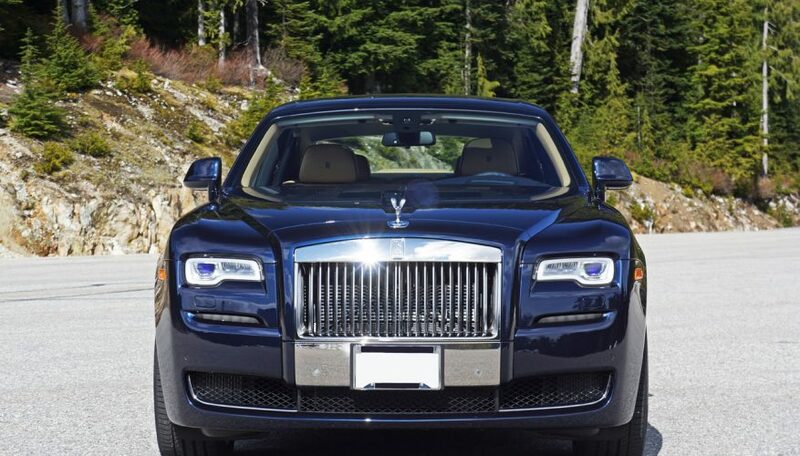 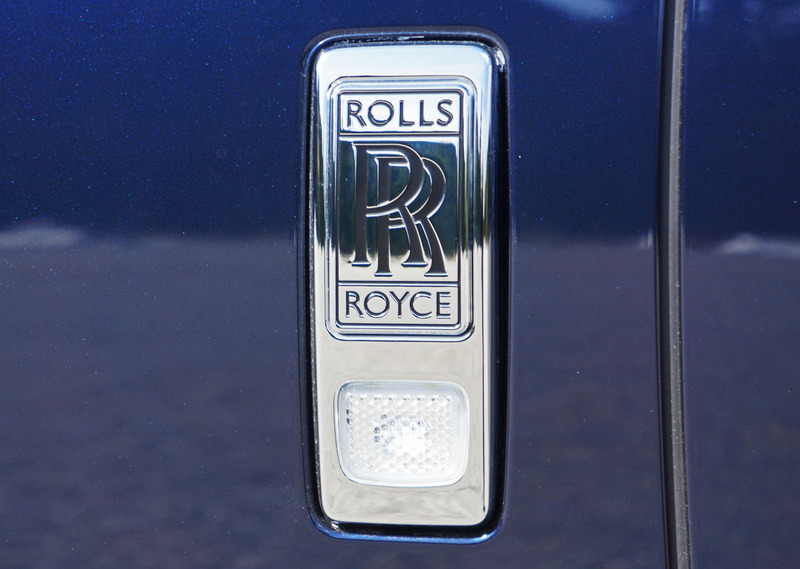 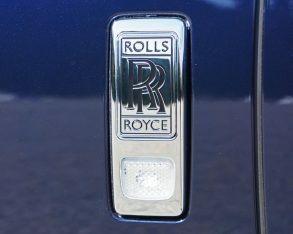 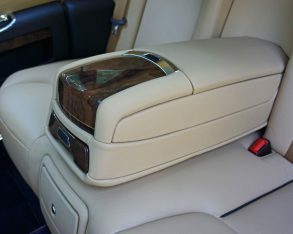 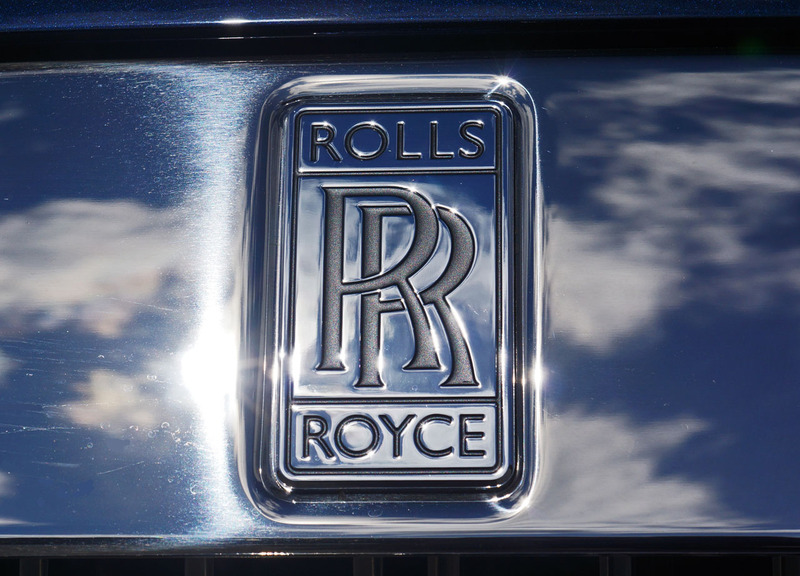 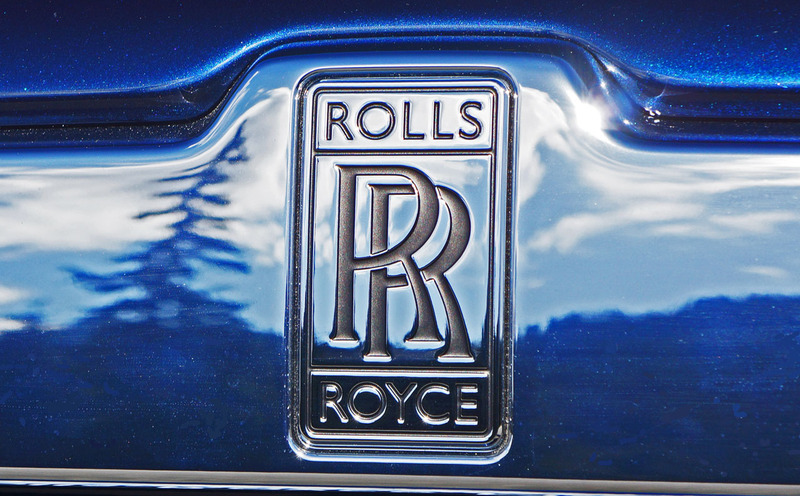 Buy any Rolls-Royce and you get the only type of luxury that can’t be purchased easily, exclusivity. 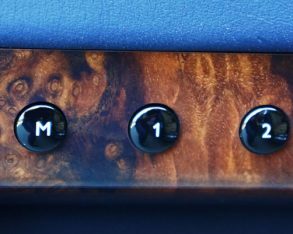 about attention to detail. 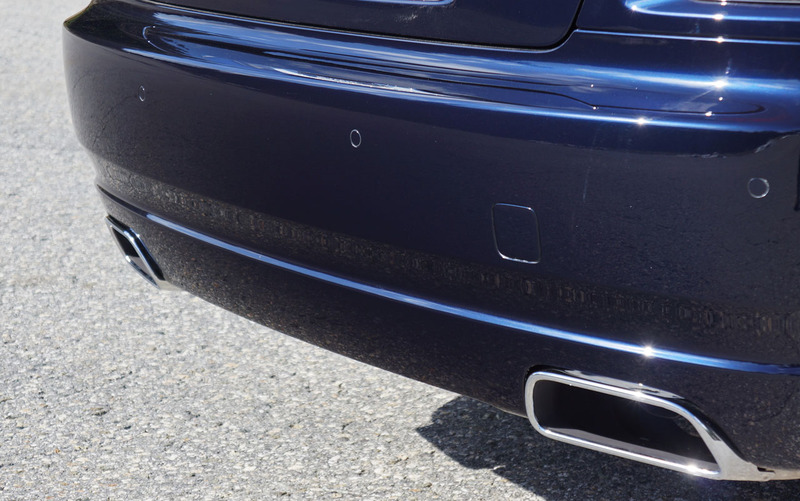 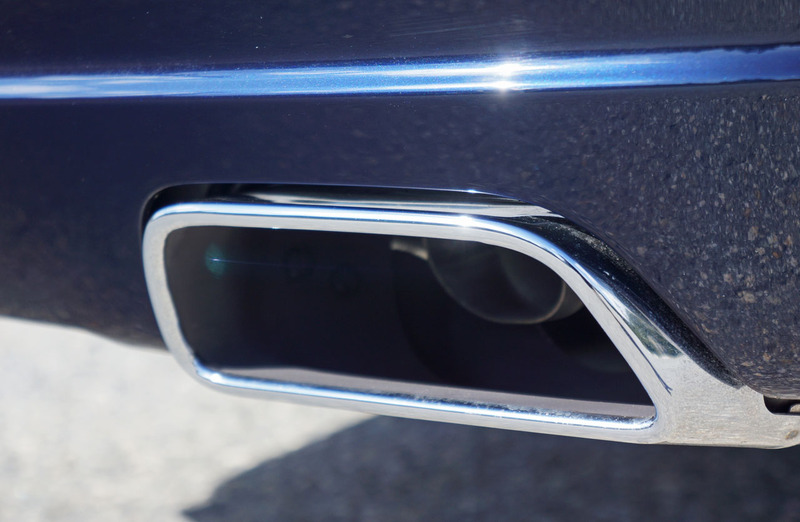 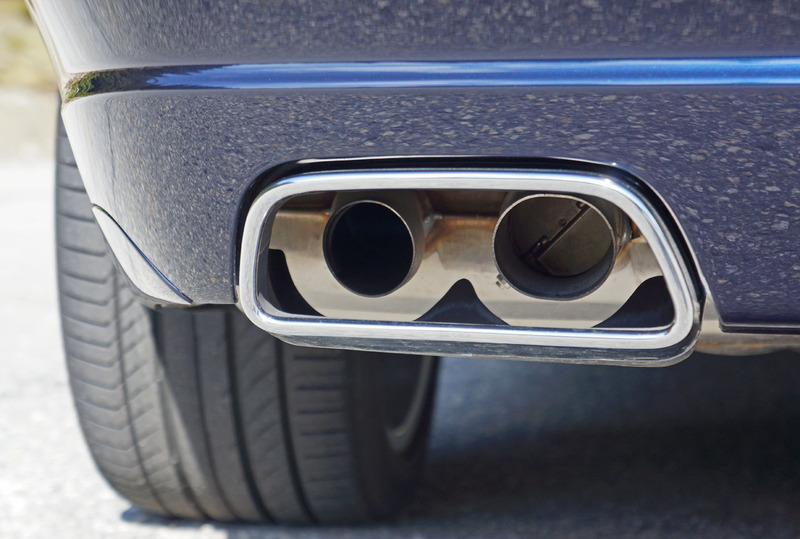 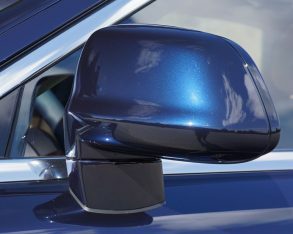 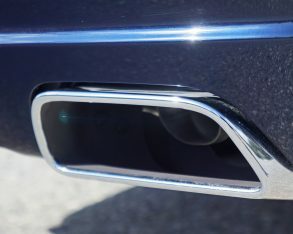 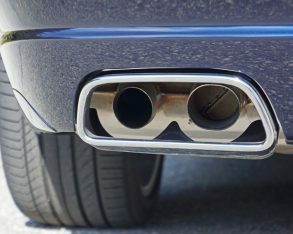 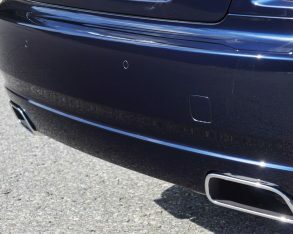 A revised chrome-rimmed front air intake with a new black mesh insert better cools the front brakes, while the bumpers were also reshaped and the character waft line that runs down each side of the car now leans further forward. 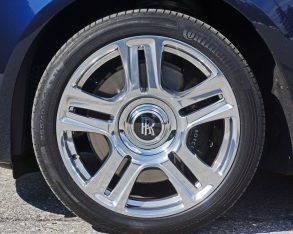 Lastly, standard 19-inch wheels have been added, supporting reengineered front and rear dampers, updated steering gear, and new hydraulic rear axle bearings that Rolls-Royce claims ensure better ride quality and improved rear stability, plus reduce vibrations and cabin intrusions even when rolling on the optional 21-inch forged rims I experienced, and I must concur as the updated car feels ultimately comfortable no matter the road surface and thoroughly stable through the corners. 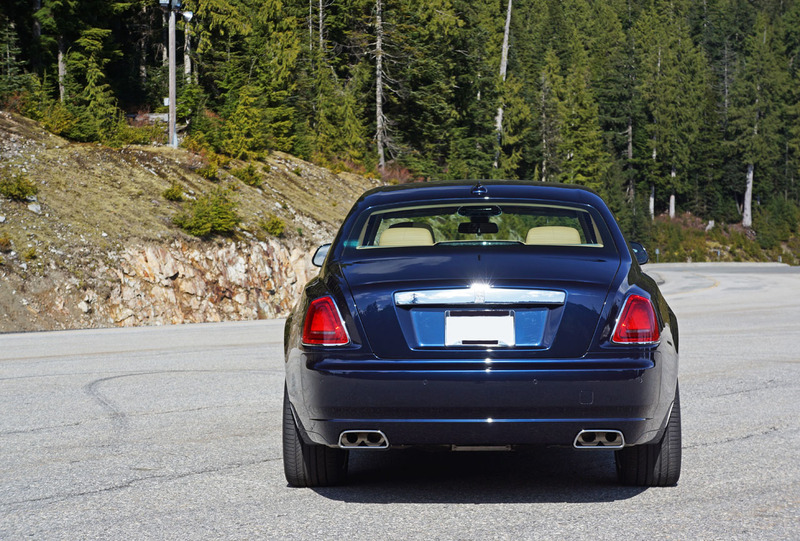 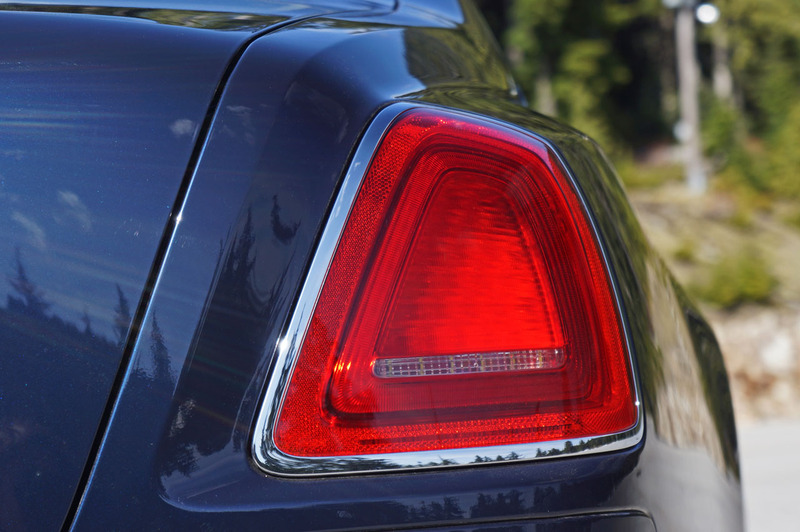 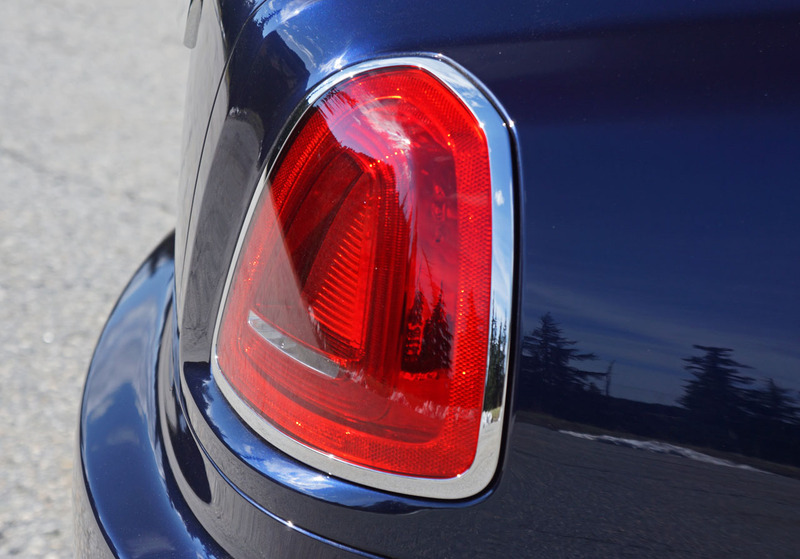 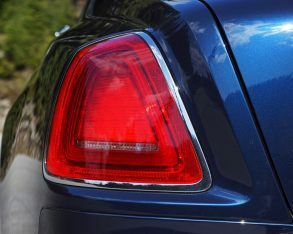 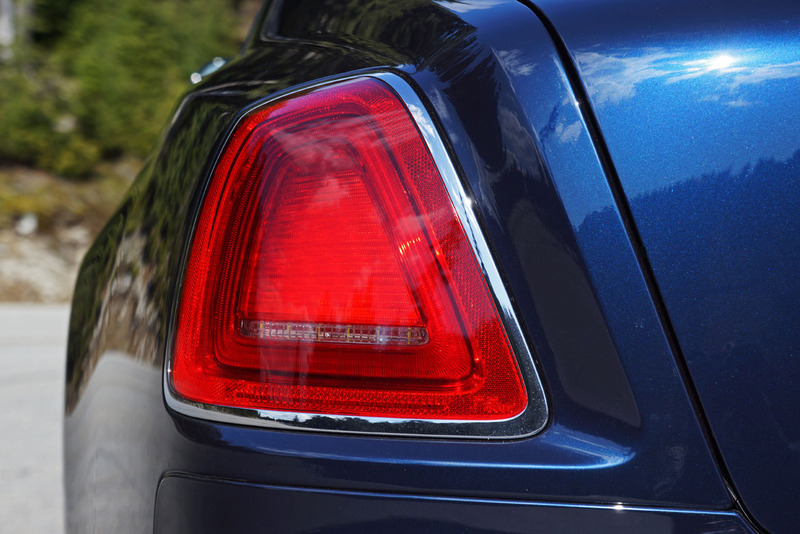 I’m glad R-R kept the Ghost’s back end design as it was, this being a particularly elegant car from behind, its smallish tail lamps and overall styling almost, dare I say, understated. 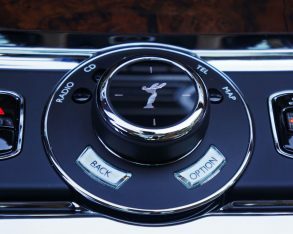 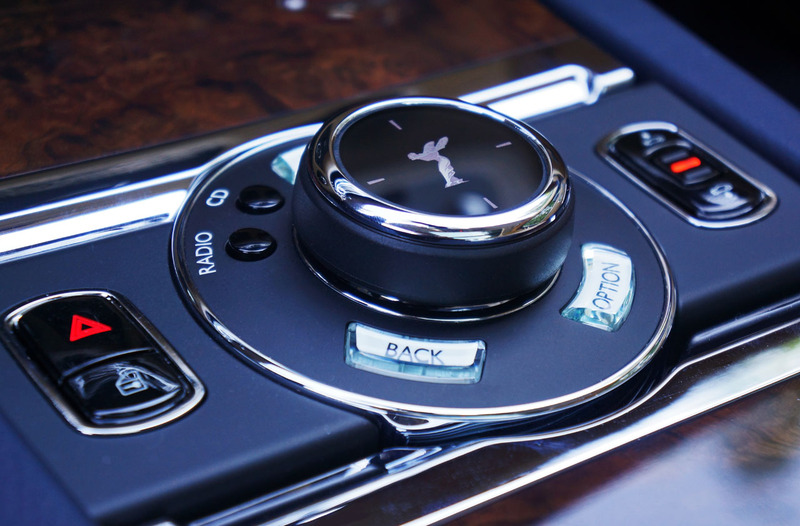 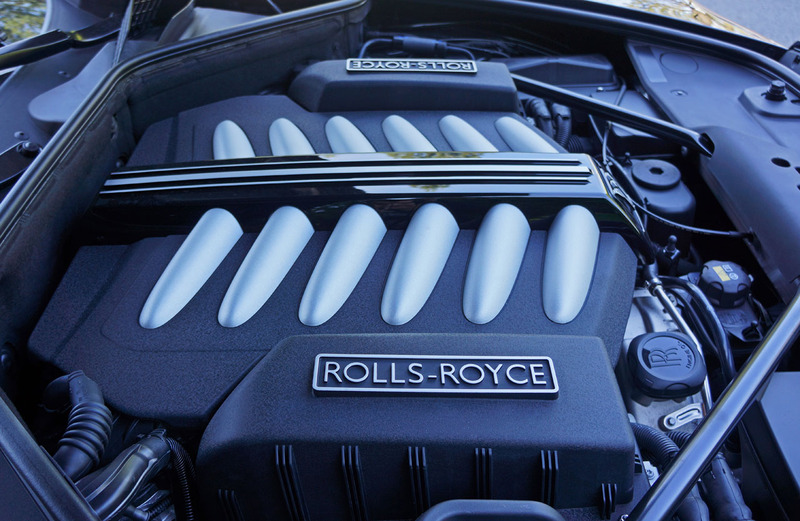 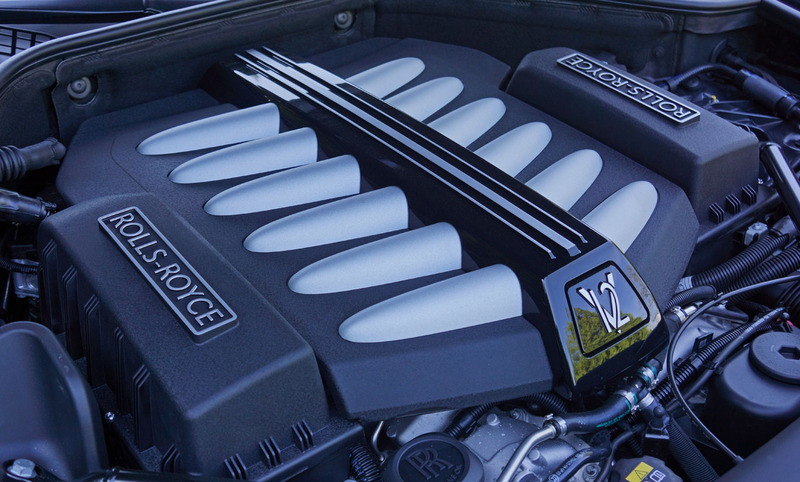 If you’re looking for more excitement, Rolls-Royce will be only too happy to fulfill your wildest dreams via their Bespoke Commission program. 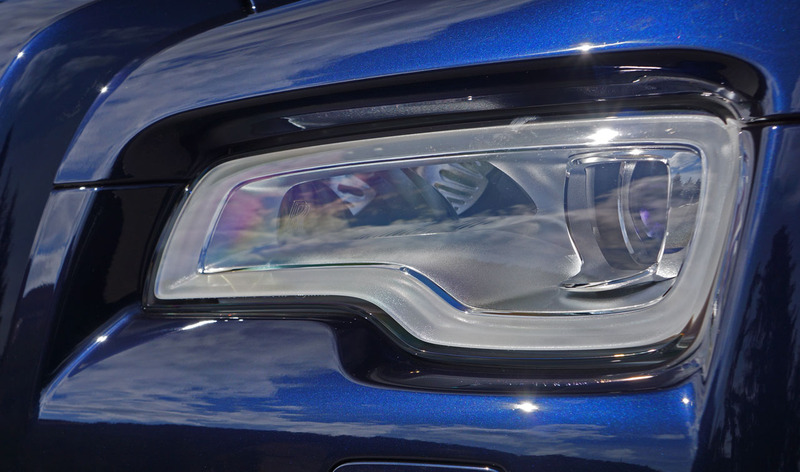 The sky’s the limit, with no less than 44,000 colours beyond the standard five, plus myriad additional features. 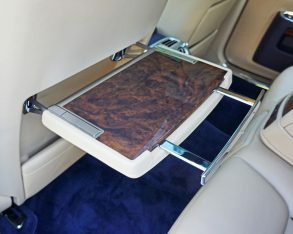 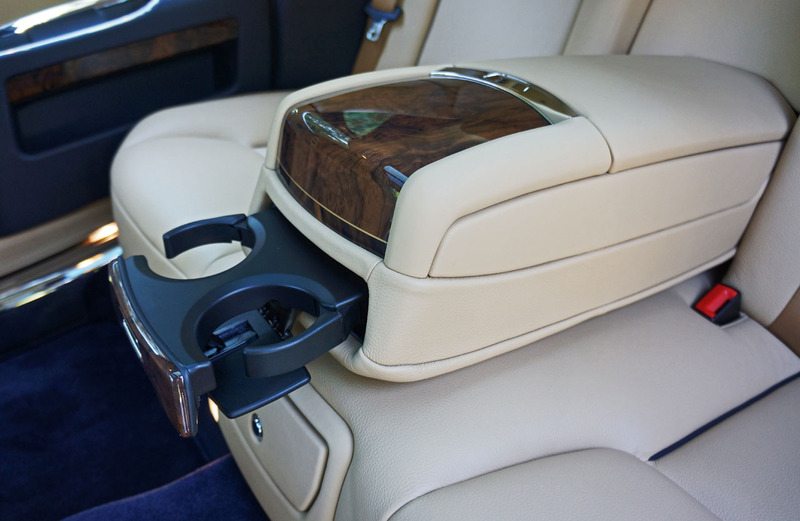 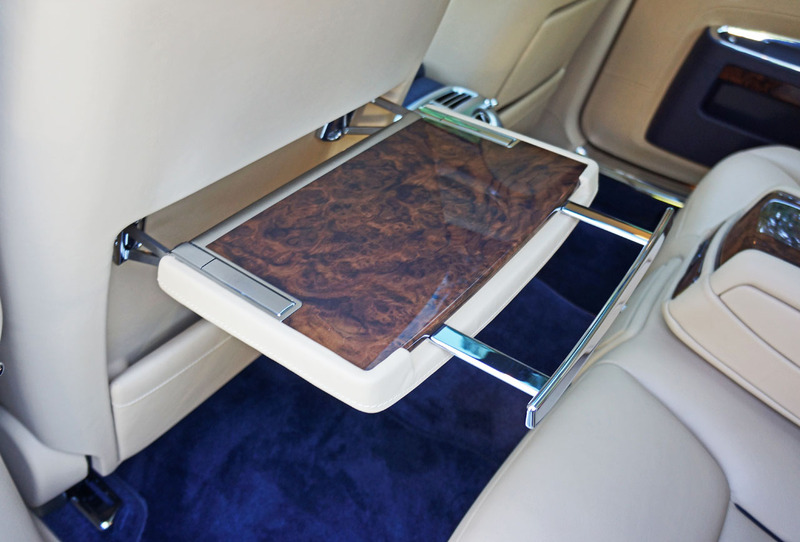 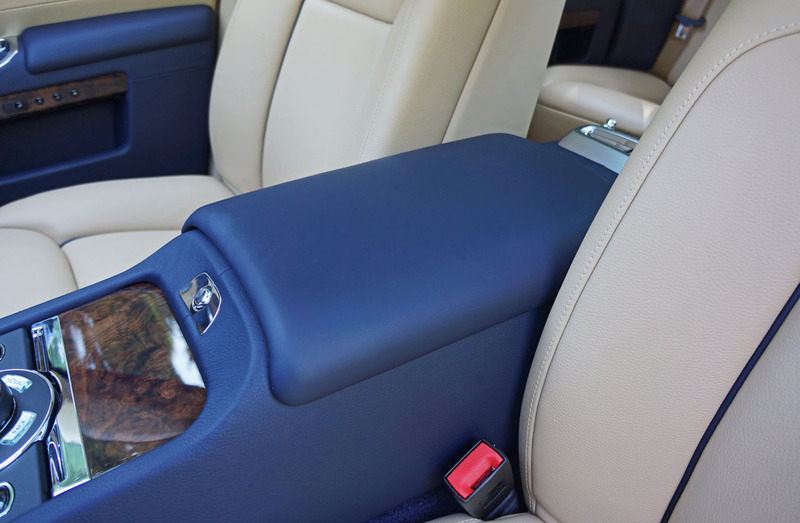 powered thigh supports to the front seats and redesigned their depth adjustment for greater comfort and support. 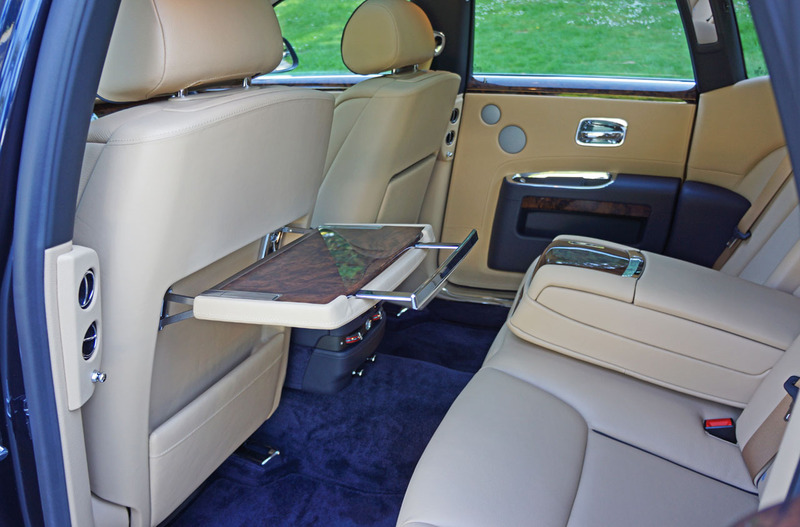 Meanwhile, the rear perches can be angled slightly towards each other to make conversing easier when set to the “Lounge seat” configuration. 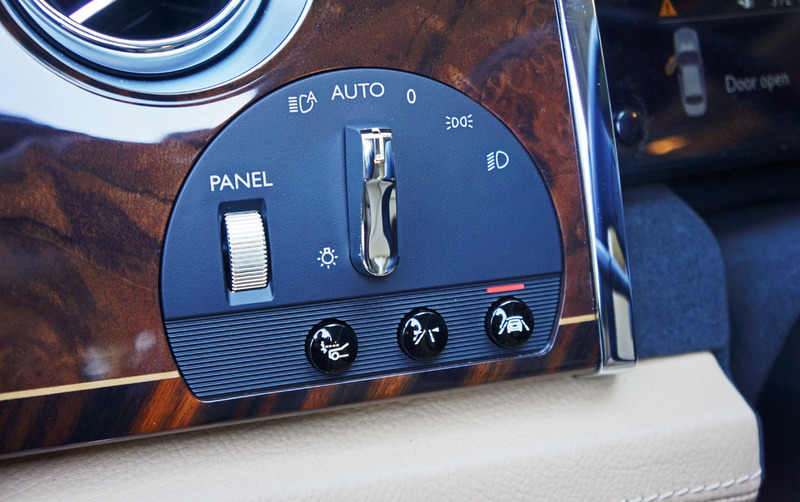 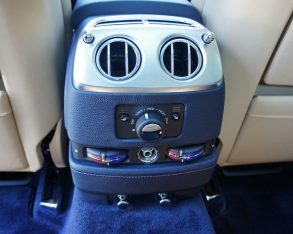 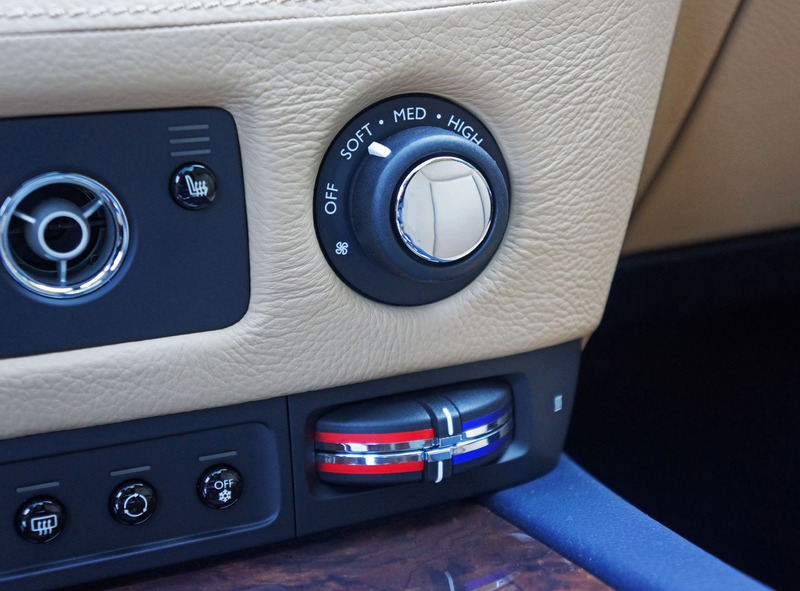 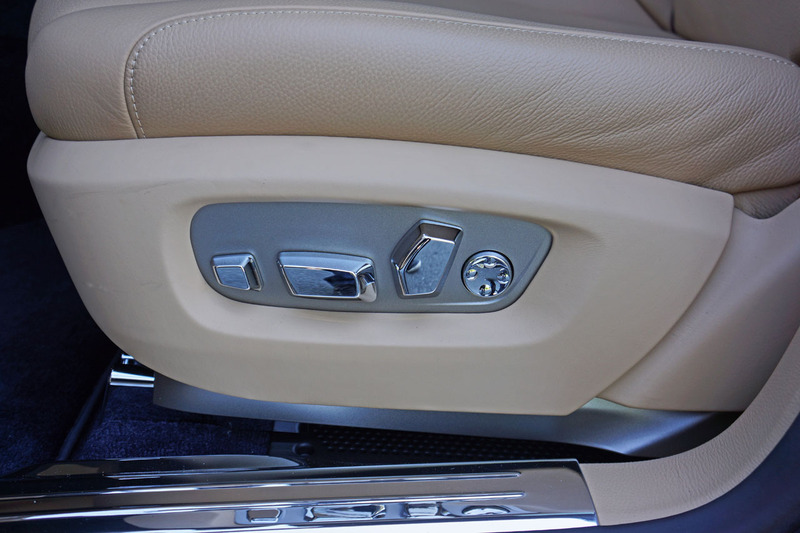 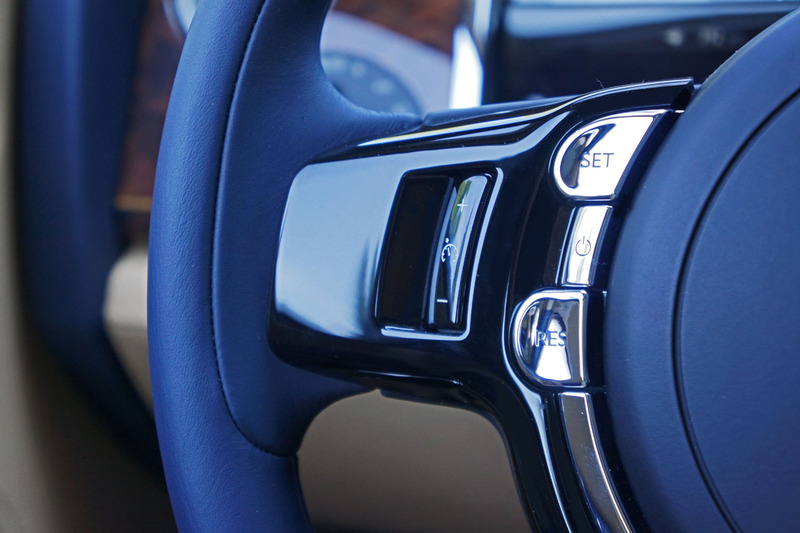 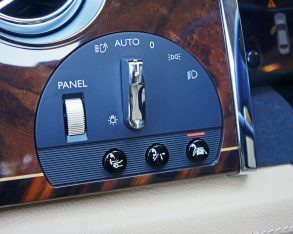 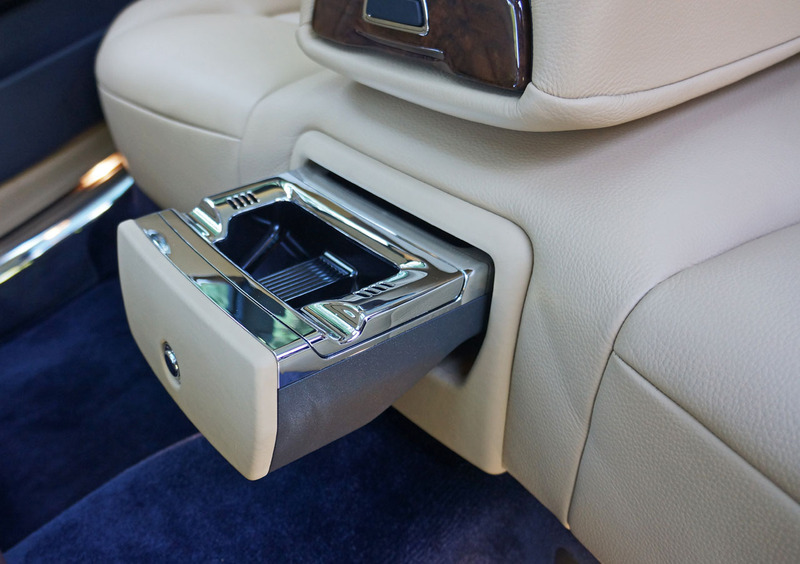 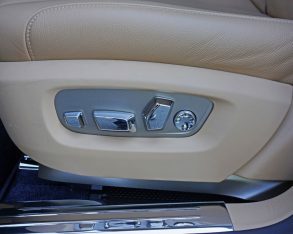 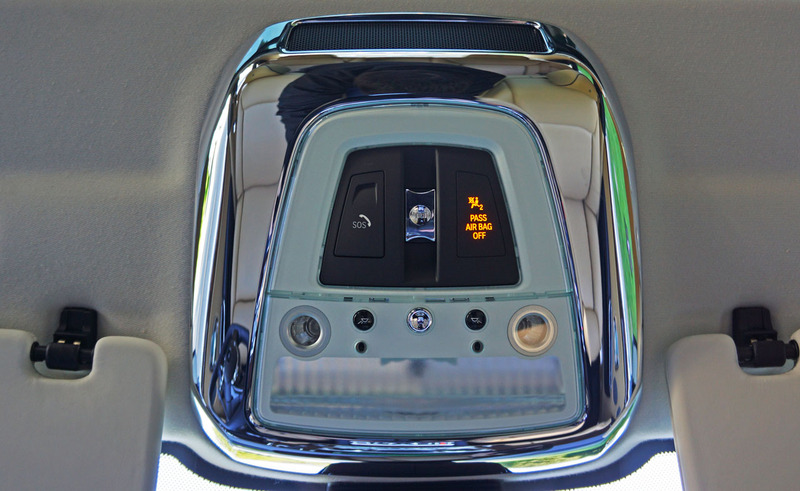 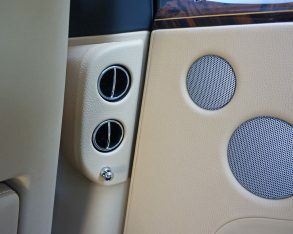 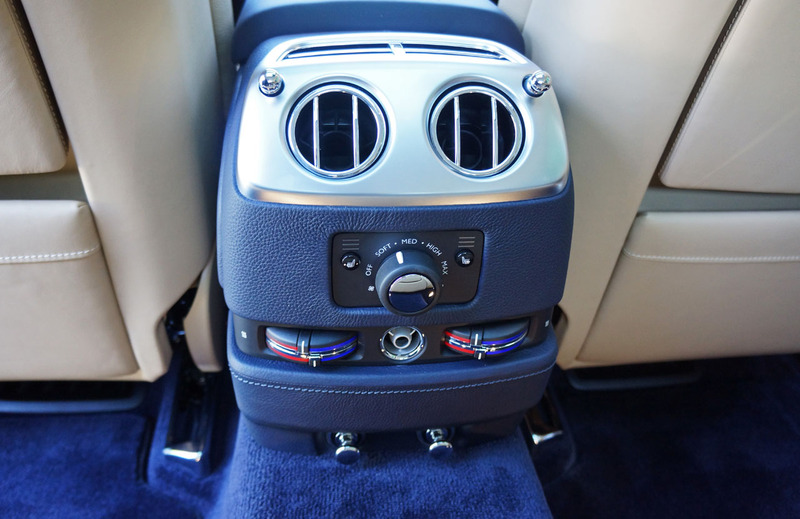 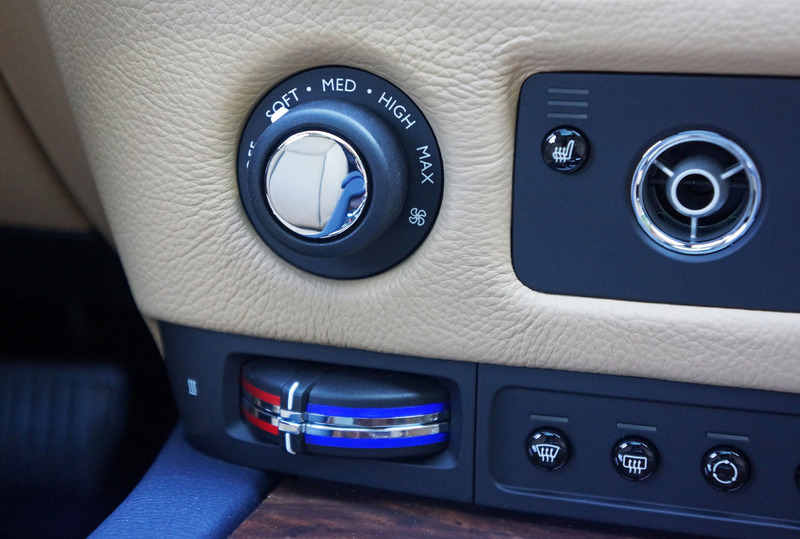 Three-way seat heaters are standard all-round, while optional massage function adds to the ultra-luxe experience. 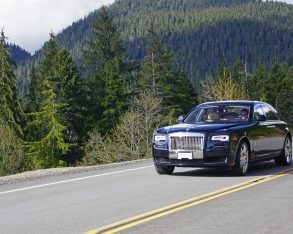 most anything else you’ll ever see rolling down main street, yet it’s never overdone unless its owner overdoes it through Rolls-Royce’ aforementioned Bespoke Commission program, and is so enjoyable to pilot through town or on the highway that you can drive it every day. 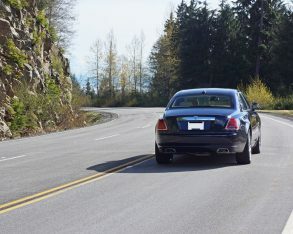 Of course, you’ll need to prepare yourself for the majority of eyes pointing your way and the occasional thumbs up or even shout out from passersby, in my case a worker on the side of the road smiling and yelling “nice car” as I rolled by. 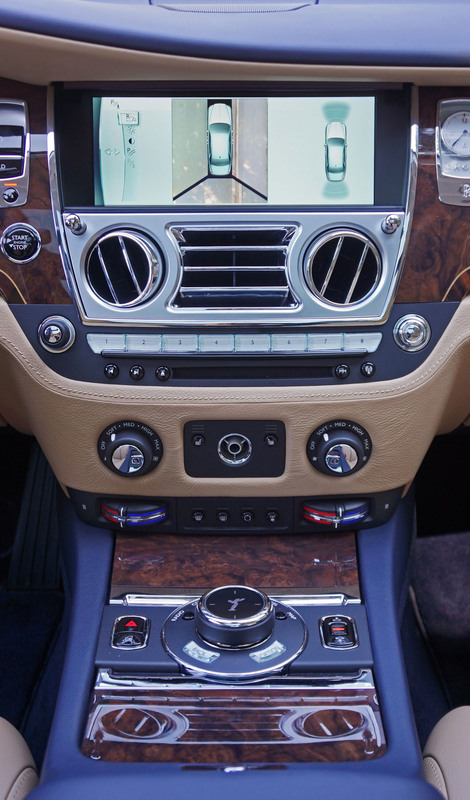 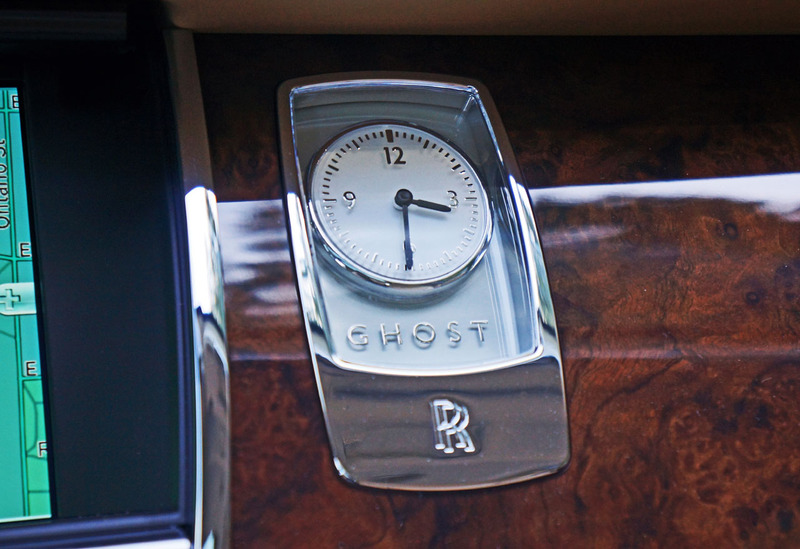 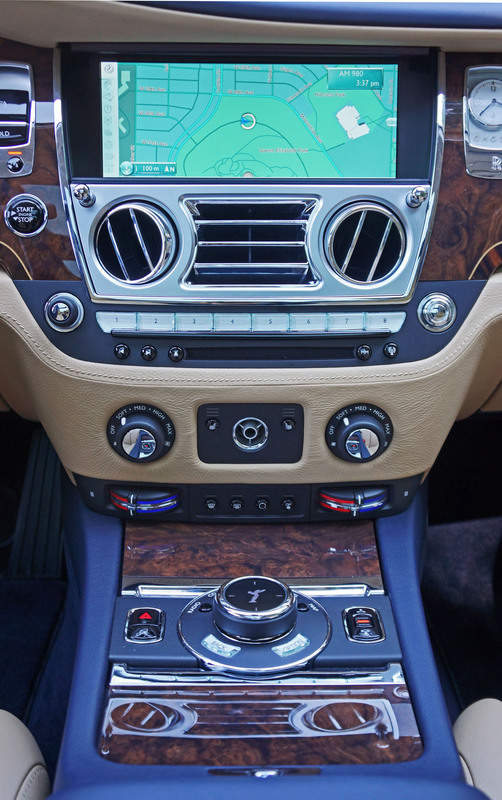 It makes sense of course, as the Ghost Series II is drop dead gorgeous. 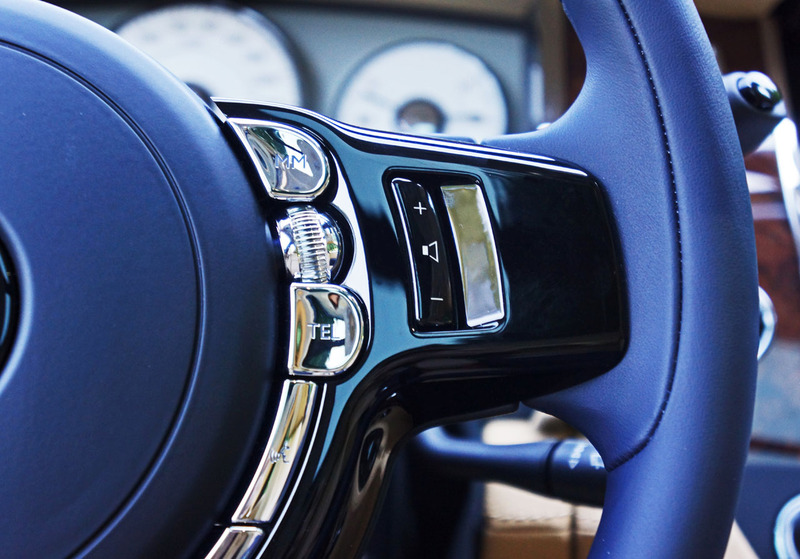 Truly, with every turn of the wheel you’ll be making a statement of unquestionable personal means and undeniably good taste, while giving those with aspirational dreams a new goal to shoot for. 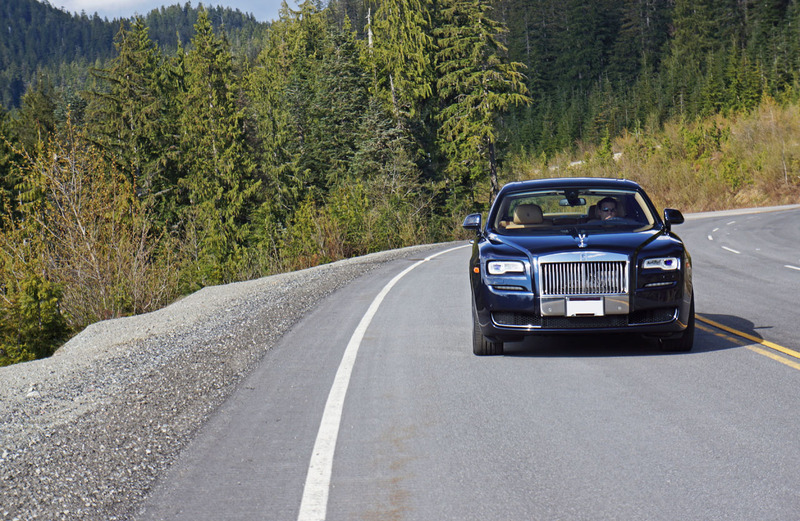 Who knows whom you’ll inspire to greatness just by driving by?